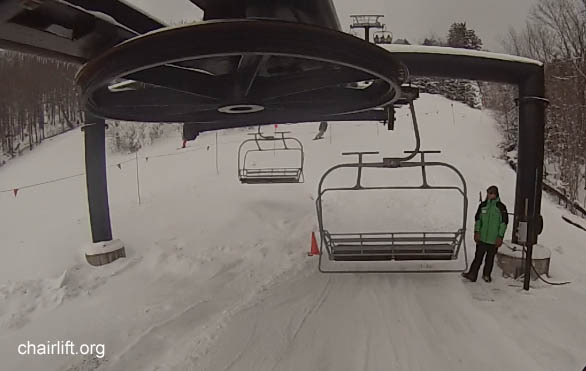 quad shown here. 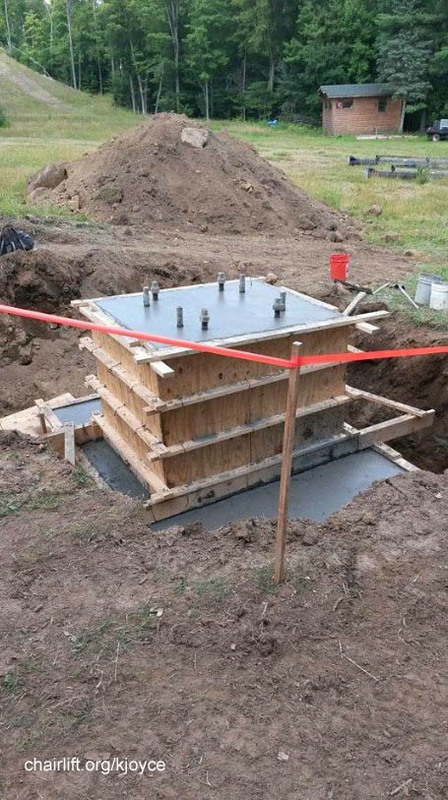 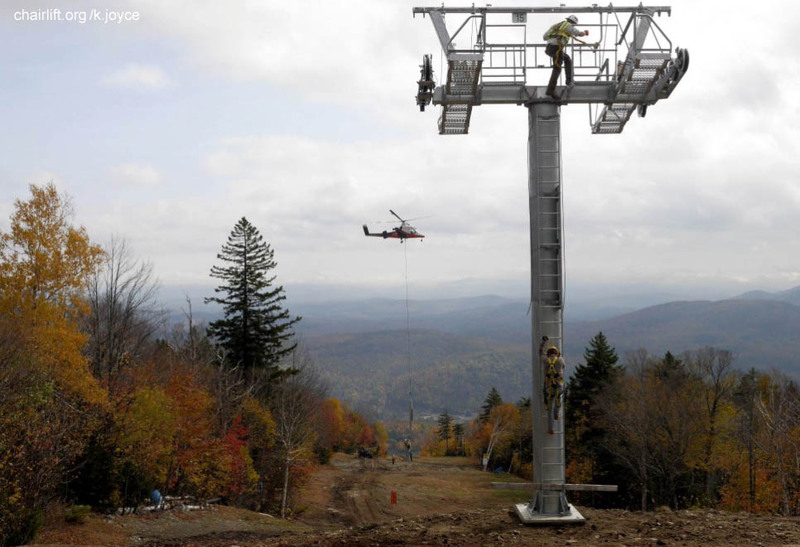 Sevaral pictures show the construction of the lift in 2014. 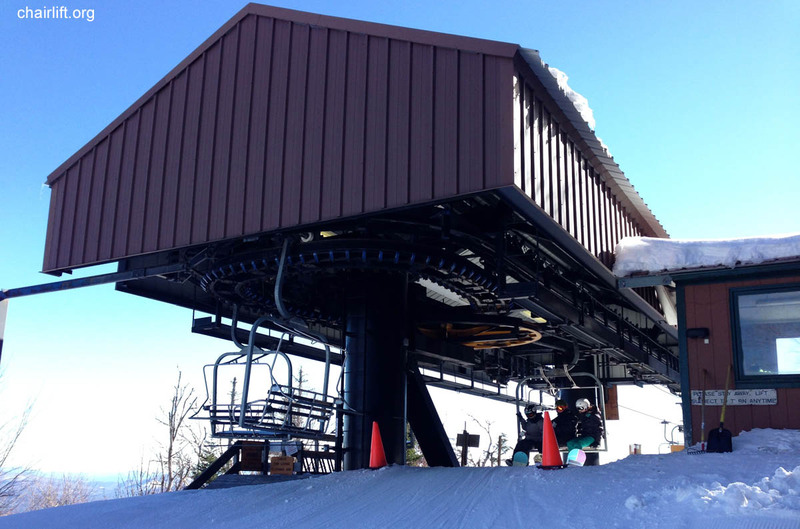 NORTH QUAD (GARAVANTA-CTEC) - This Garaventa/CTEC brand quad lift replaced the old north double chair in 1997.
built by CTEC located slightly lower than the original summit. 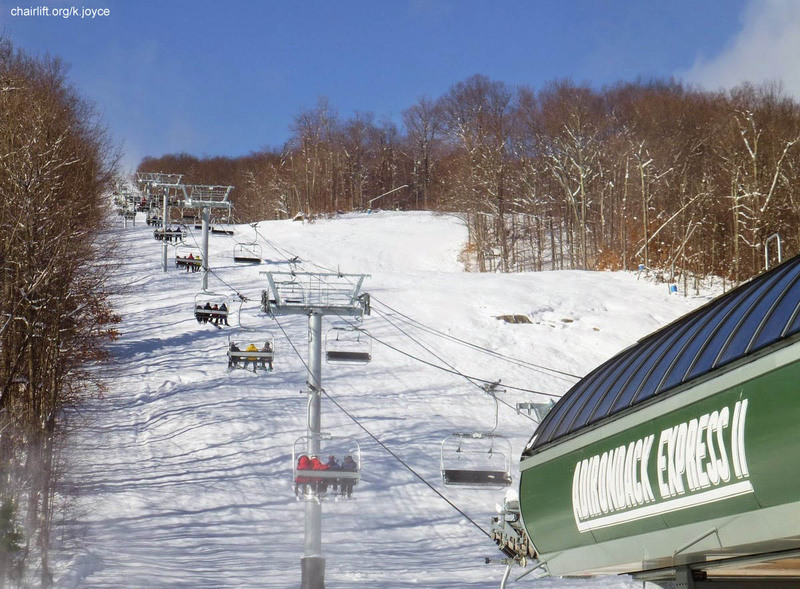 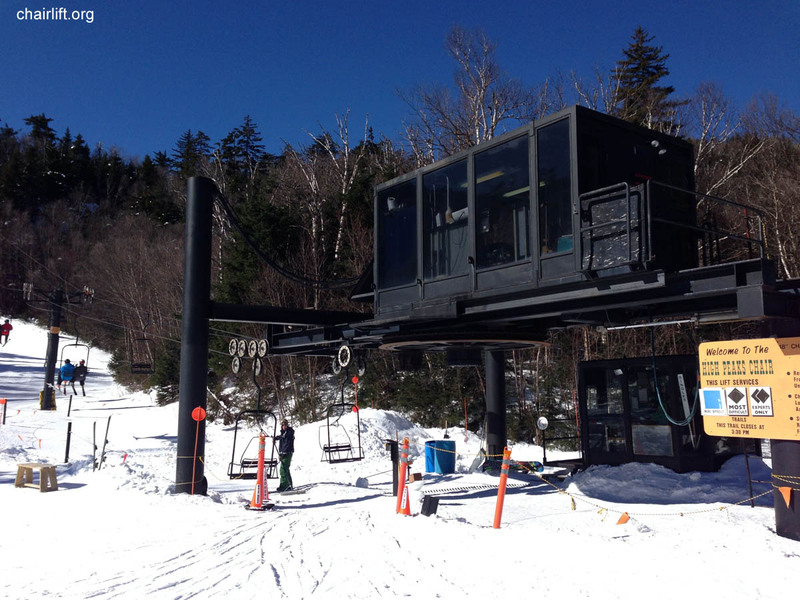 STRAIGHTBROOK QUAD (GARAVANTA-CTEC) - This Garaventa/CTEC brand quad lift replaced the old Straightbrook double chair (Riblet) in 1995. 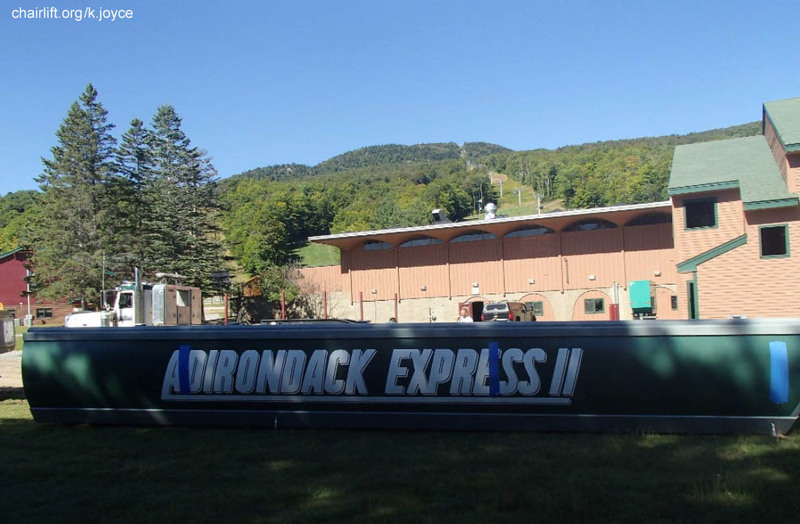 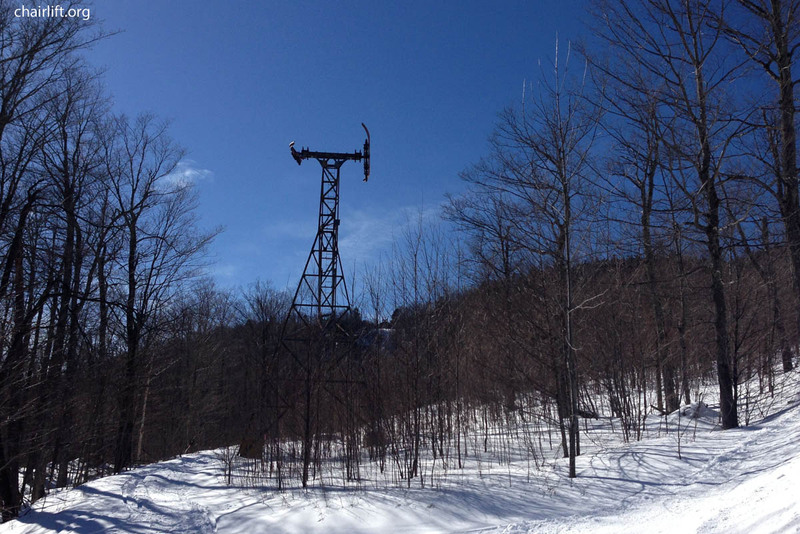 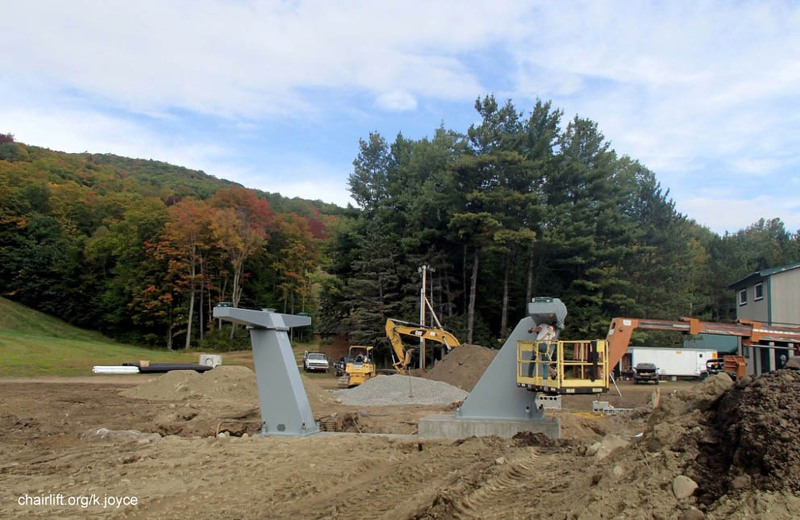 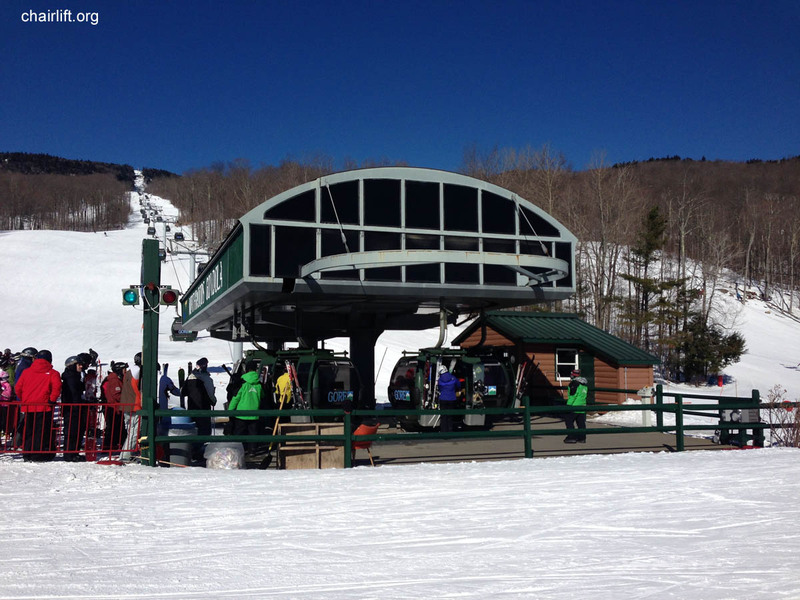 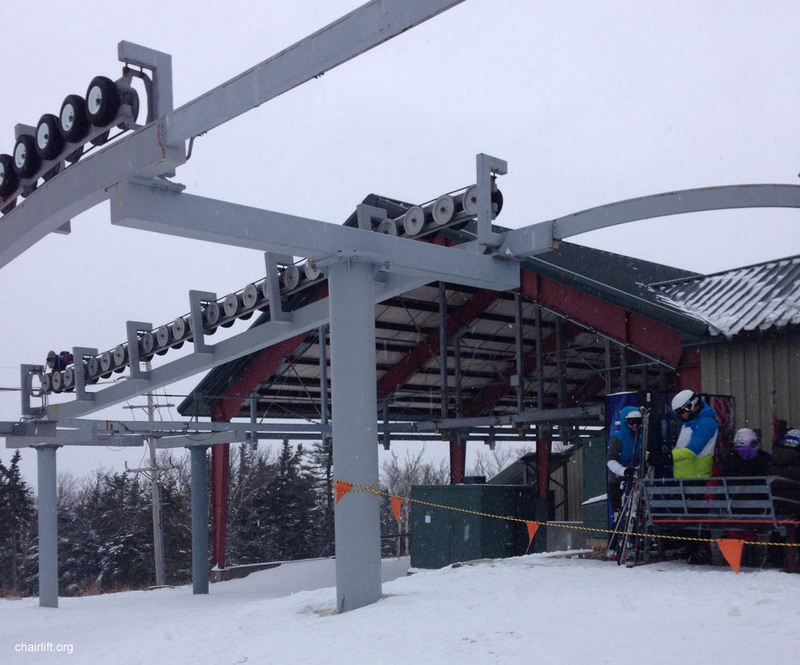 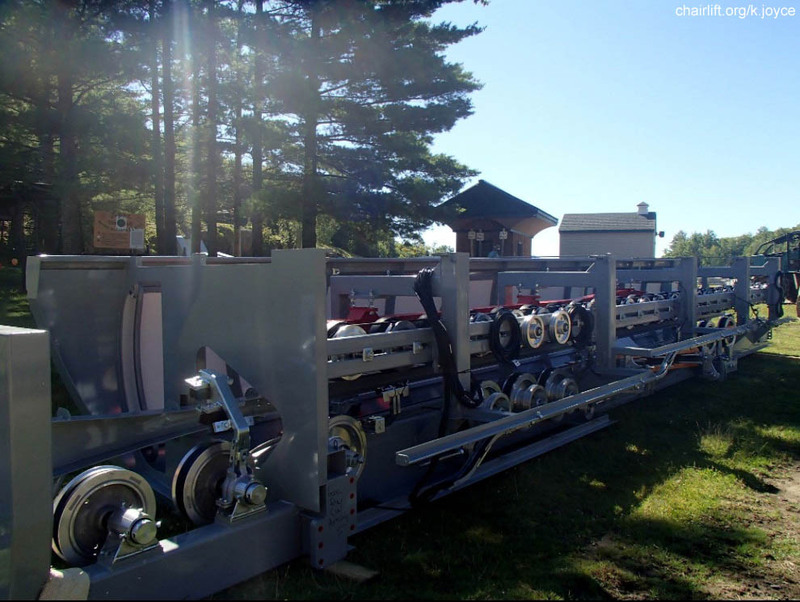 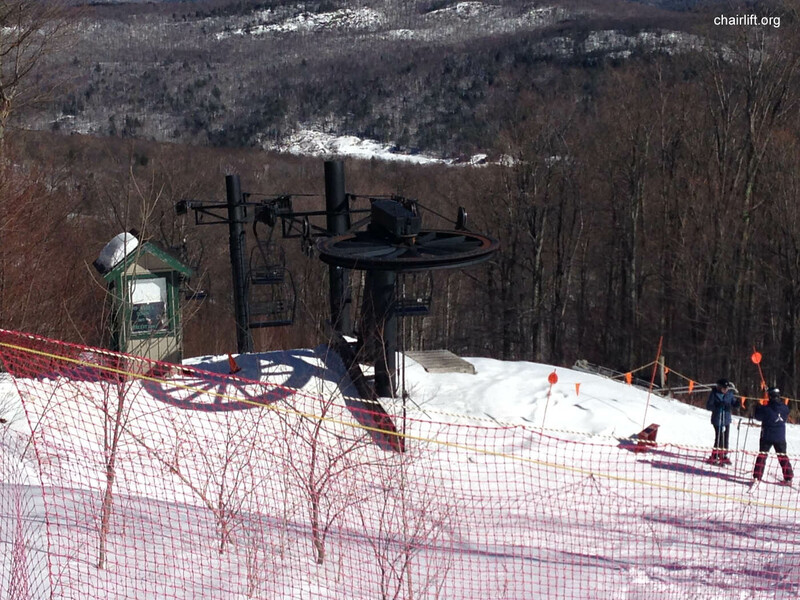 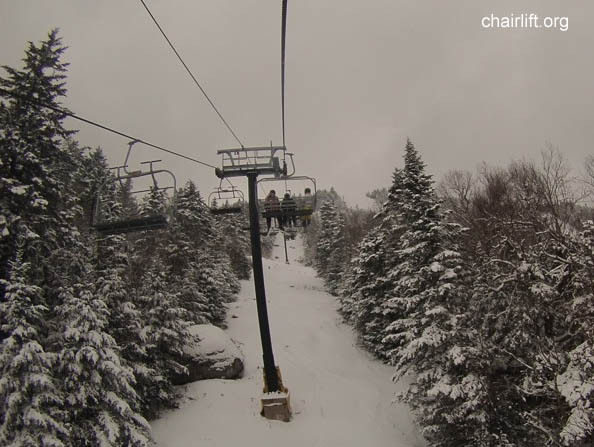 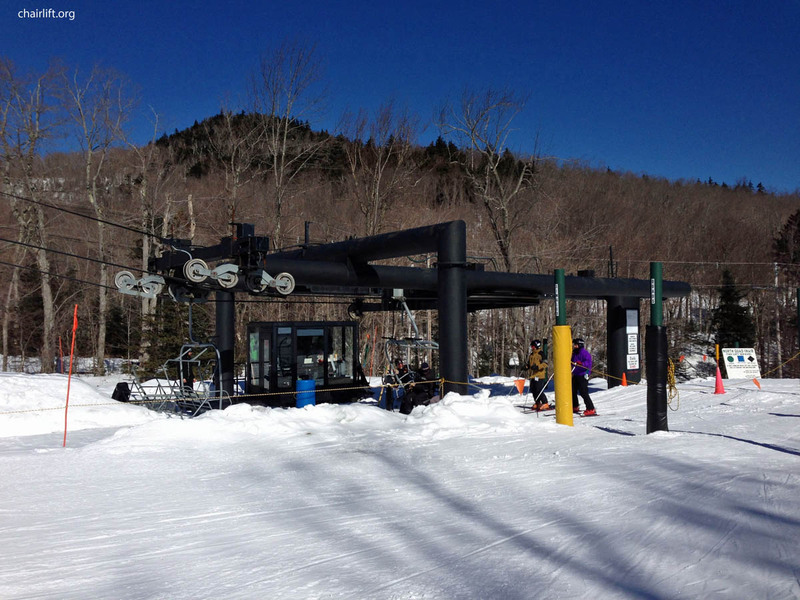 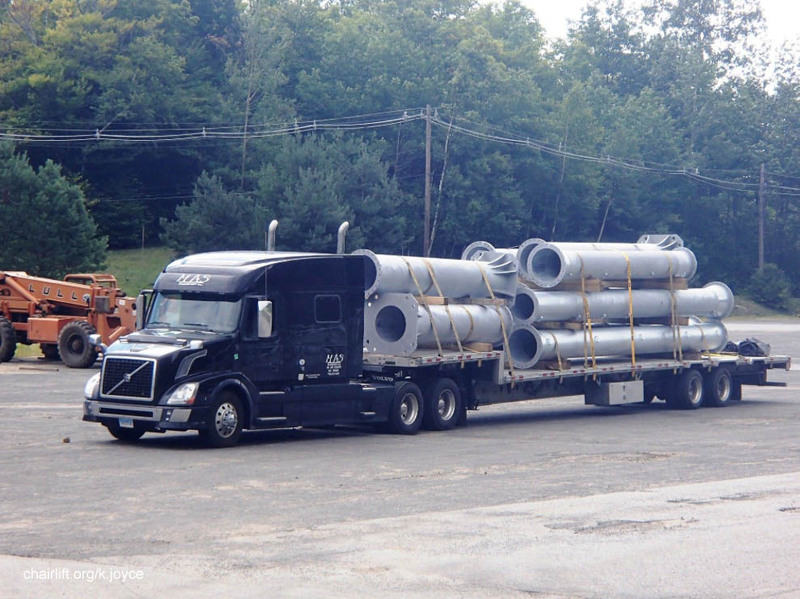 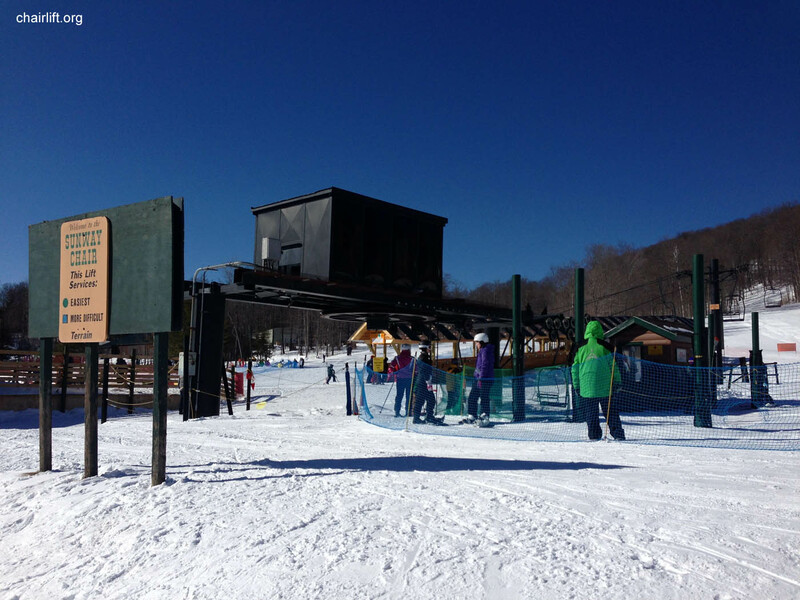 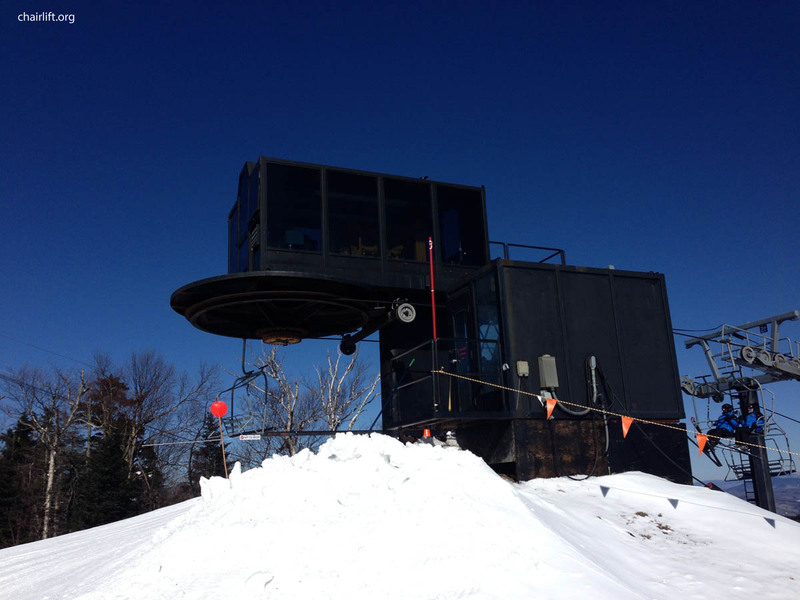 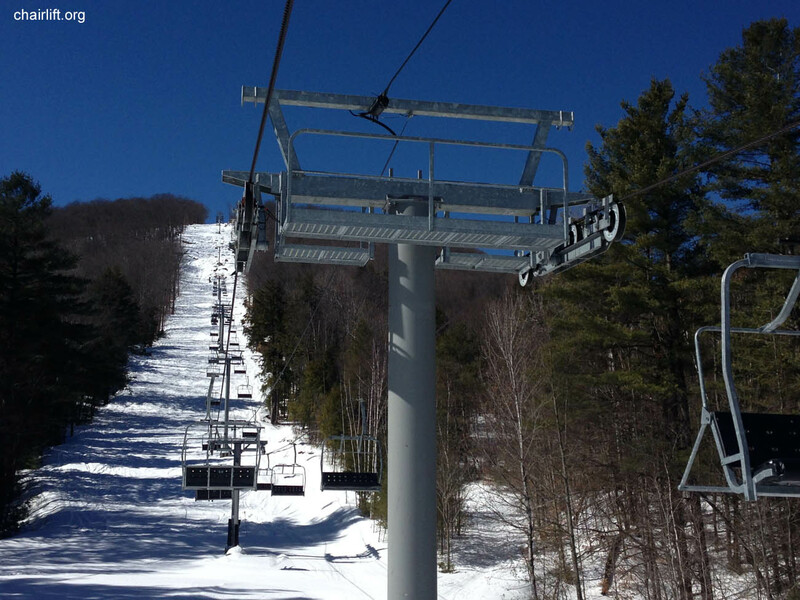 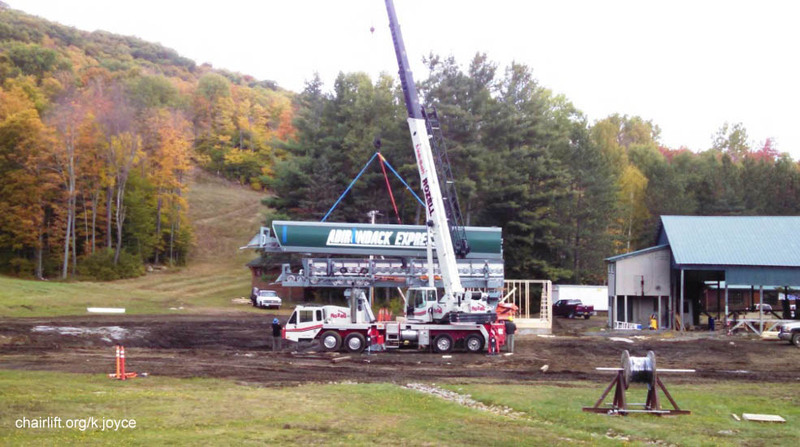 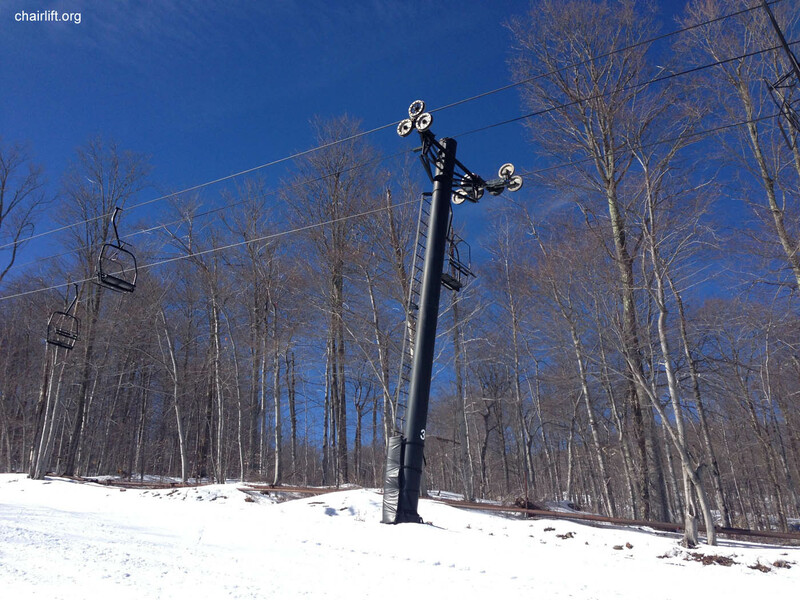 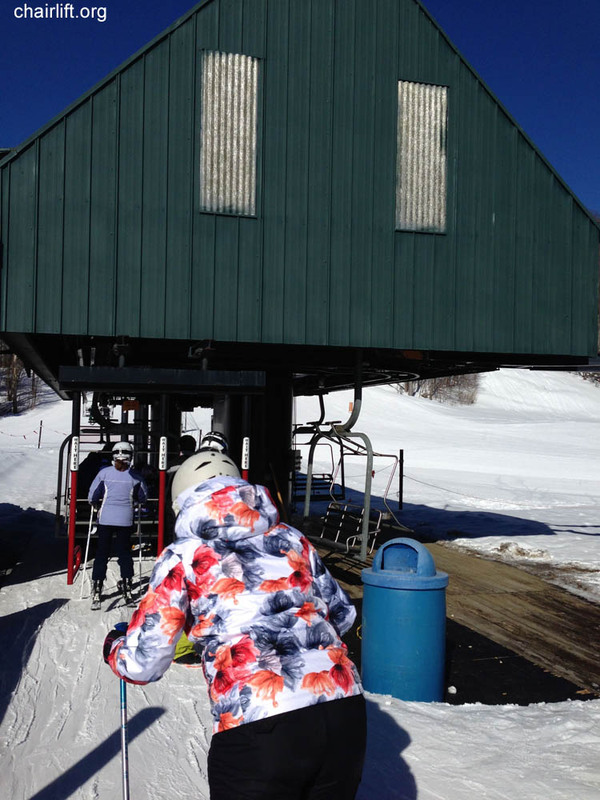 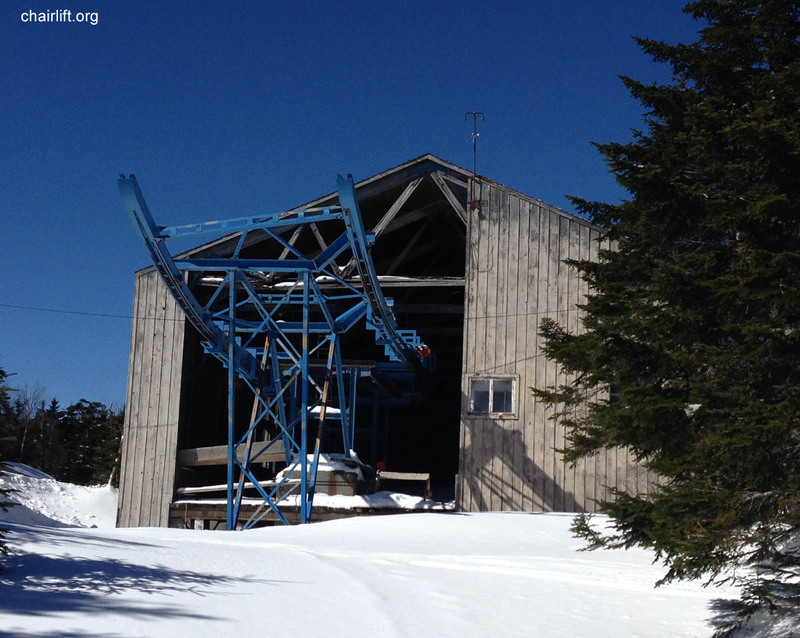 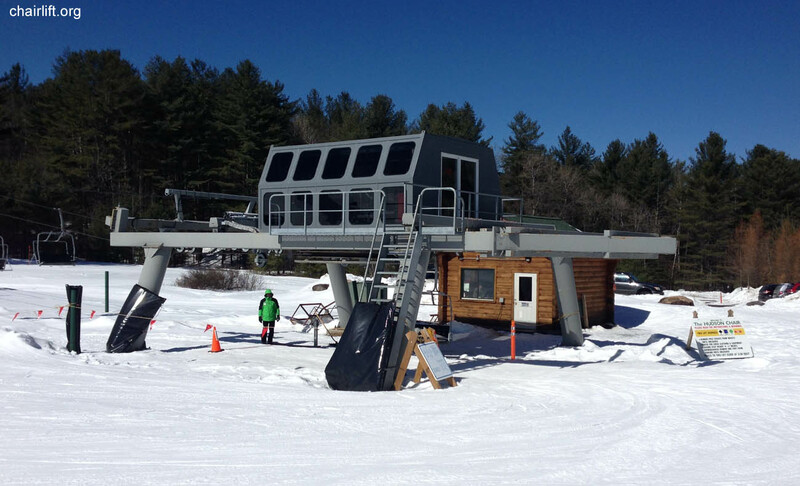 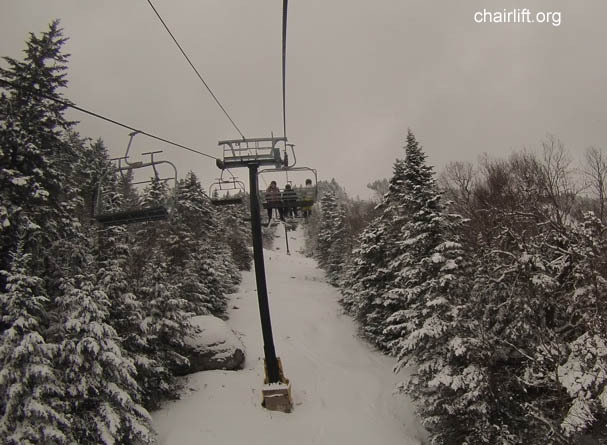 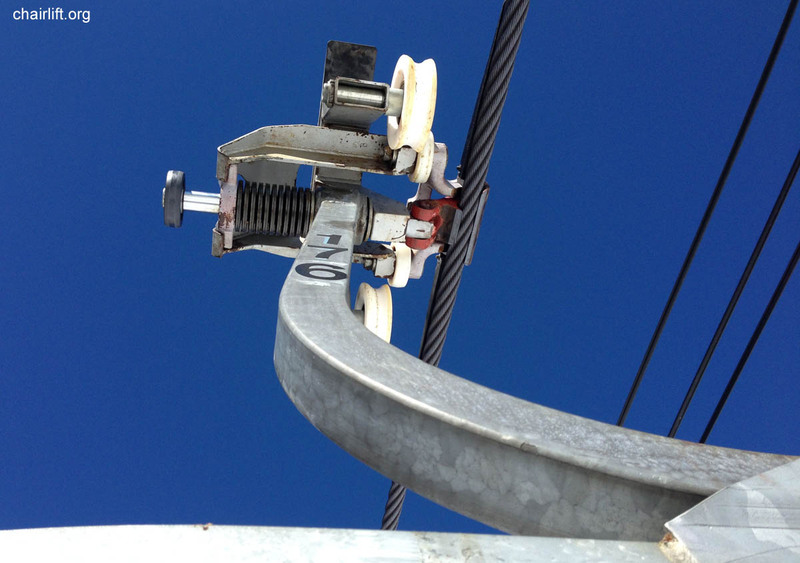 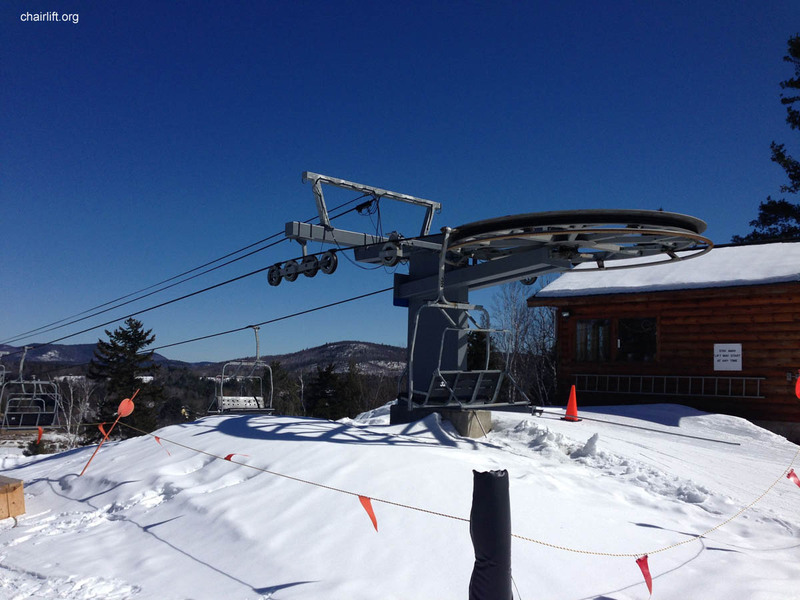 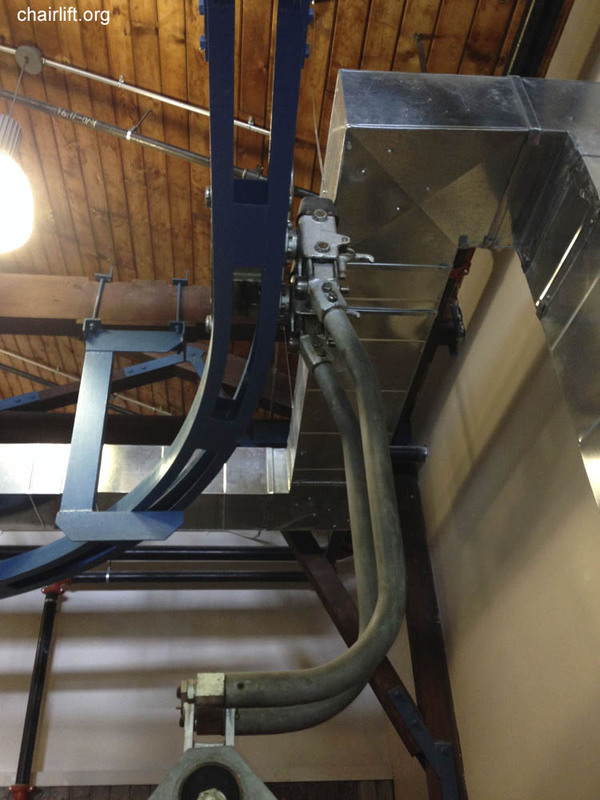 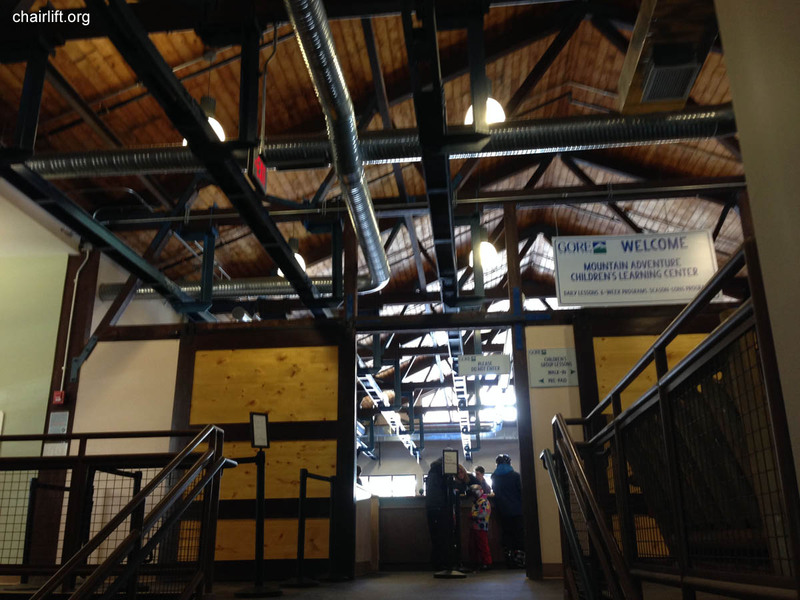 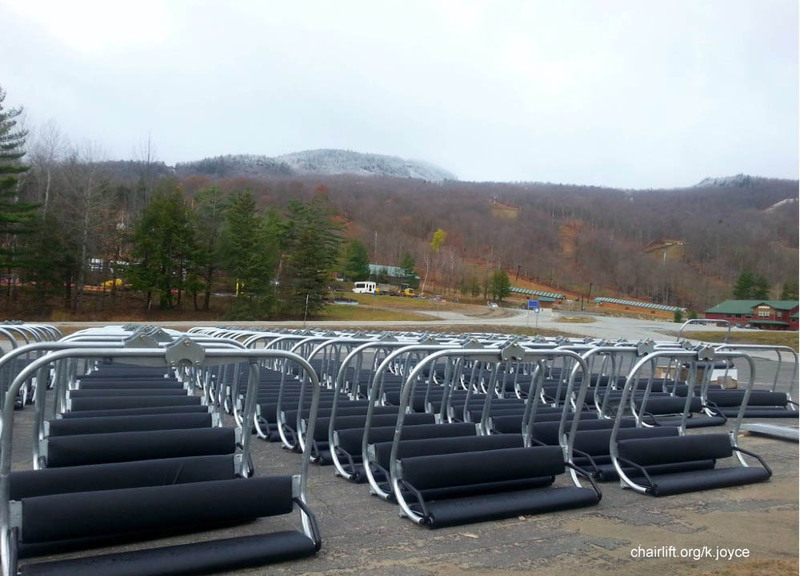 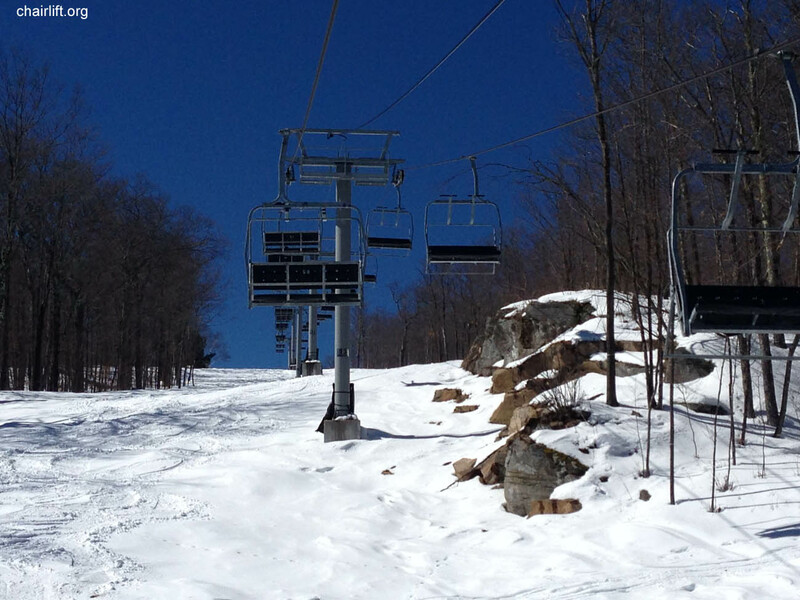 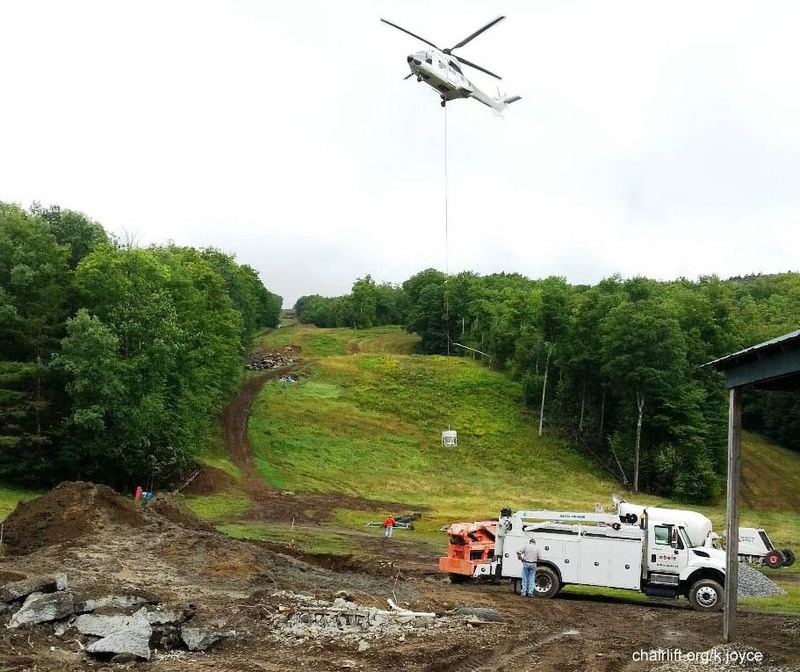 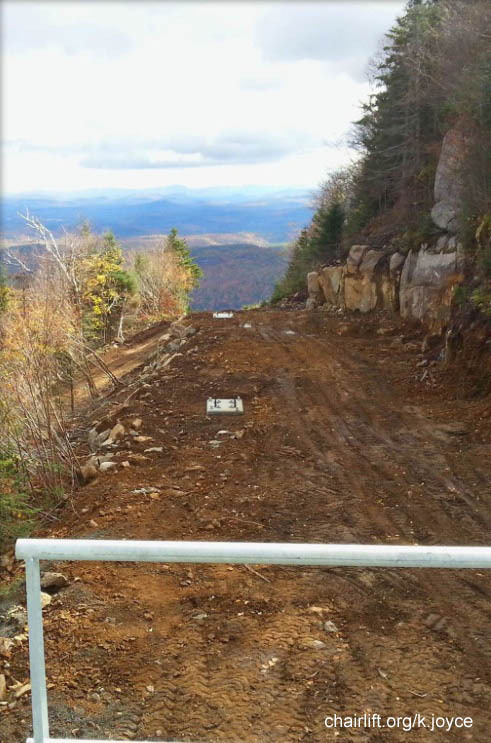 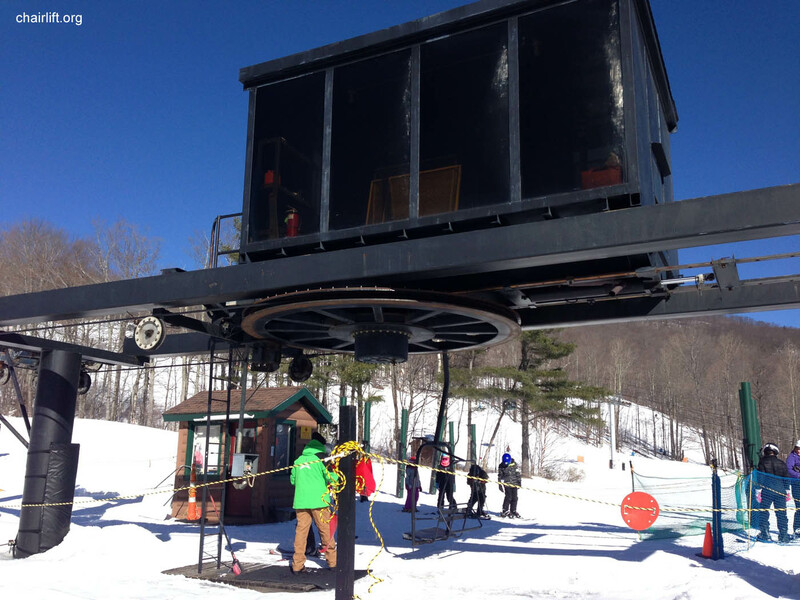 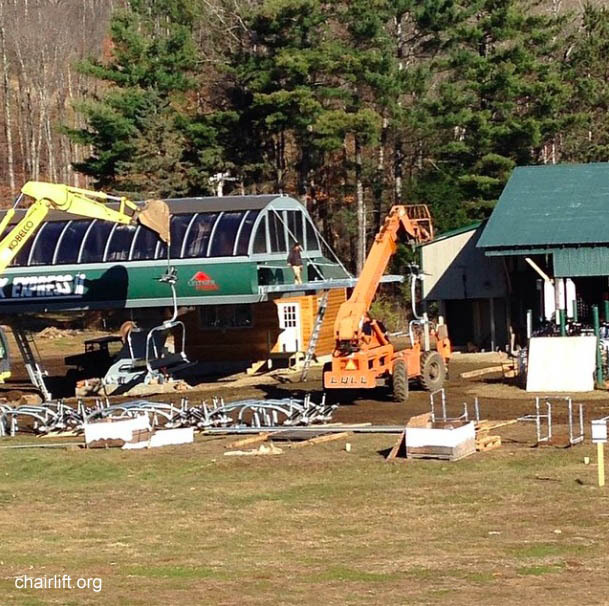 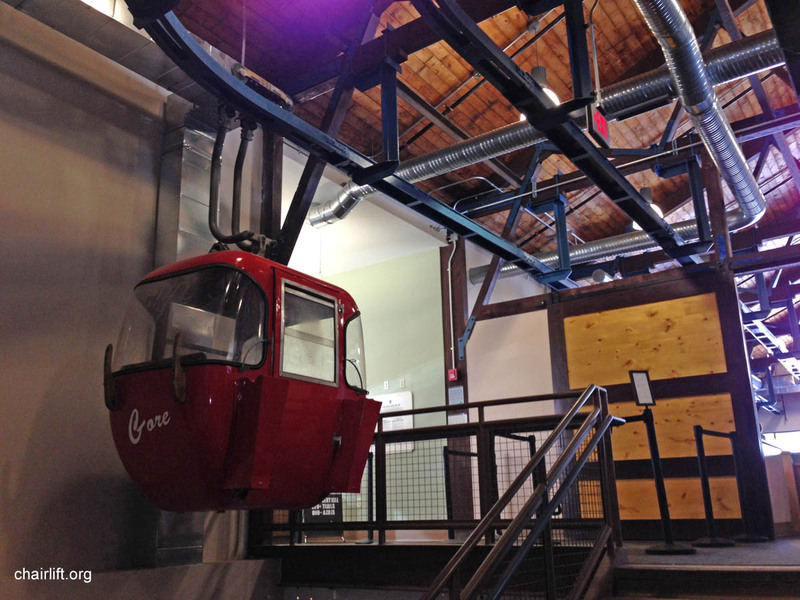 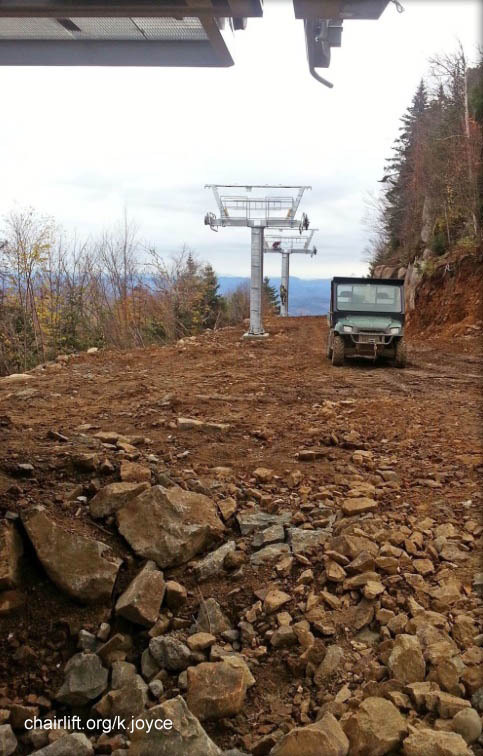 TOPRIDGE TRIPLE (CTEC) - This CTEC brand lift was installed in 2002 and utilizes many components from the former Valley Lift at Whiteface, NY. 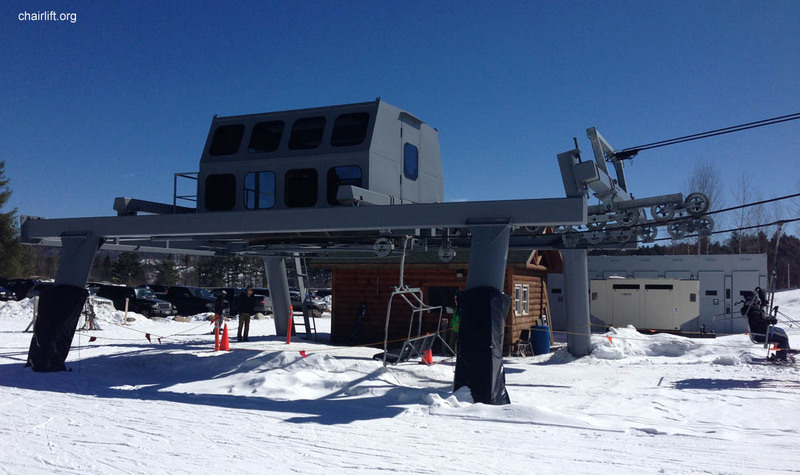 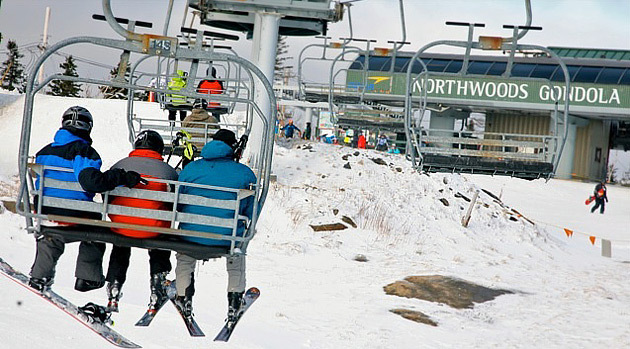 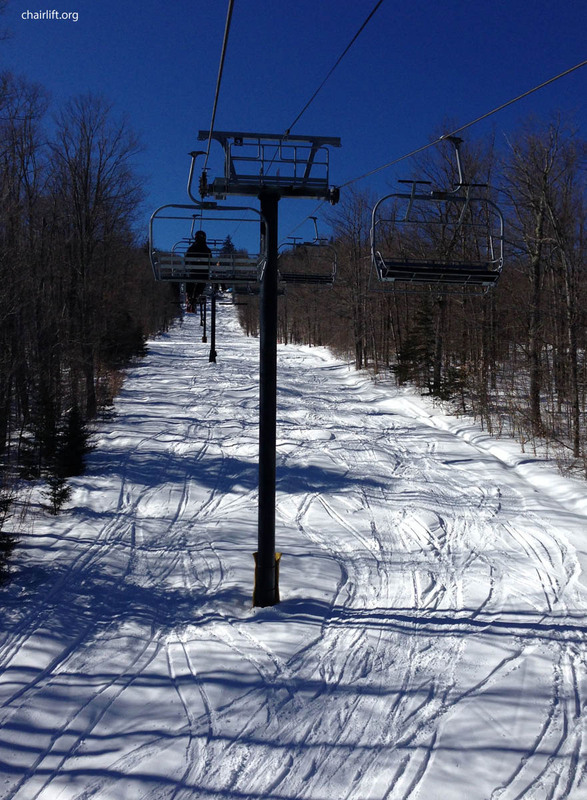 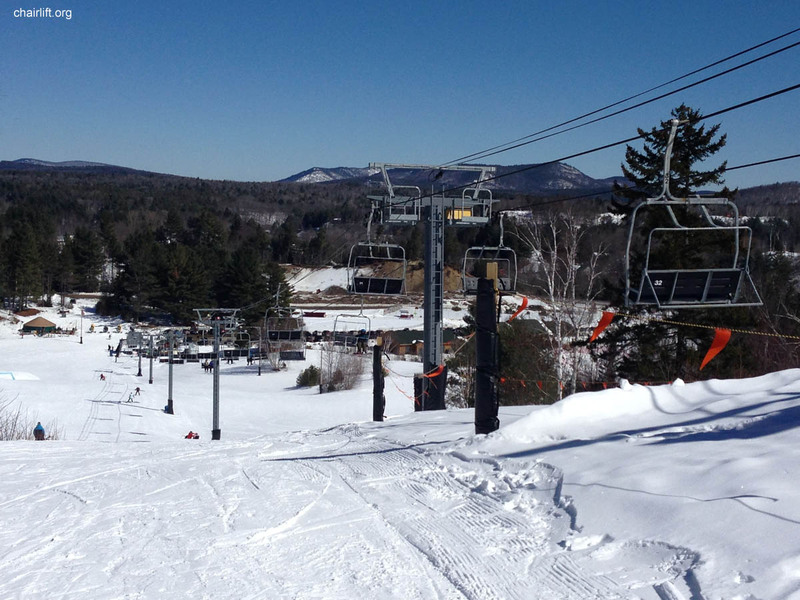 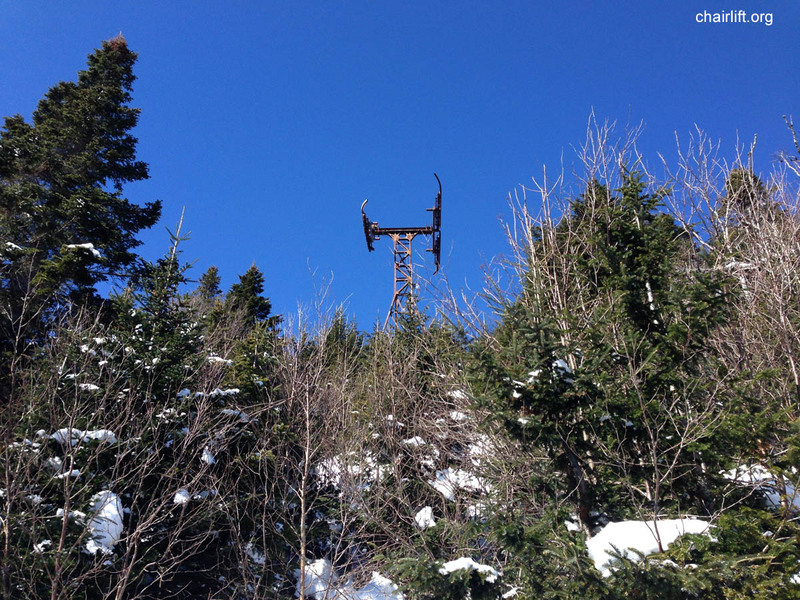 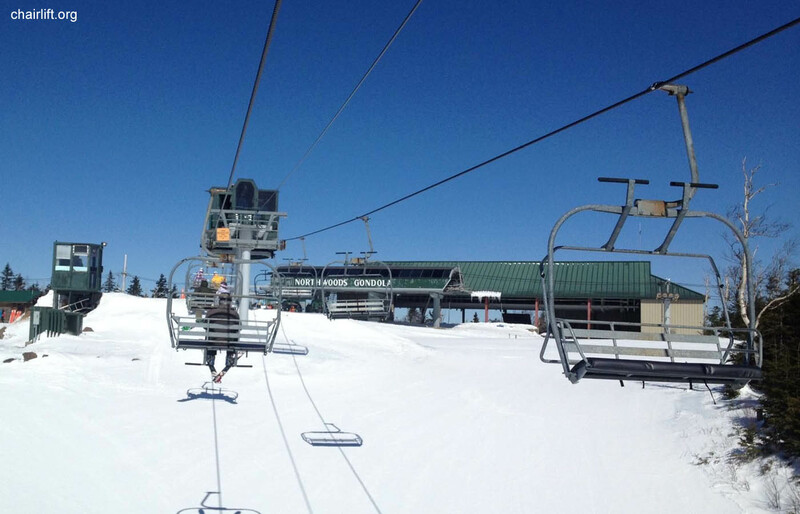 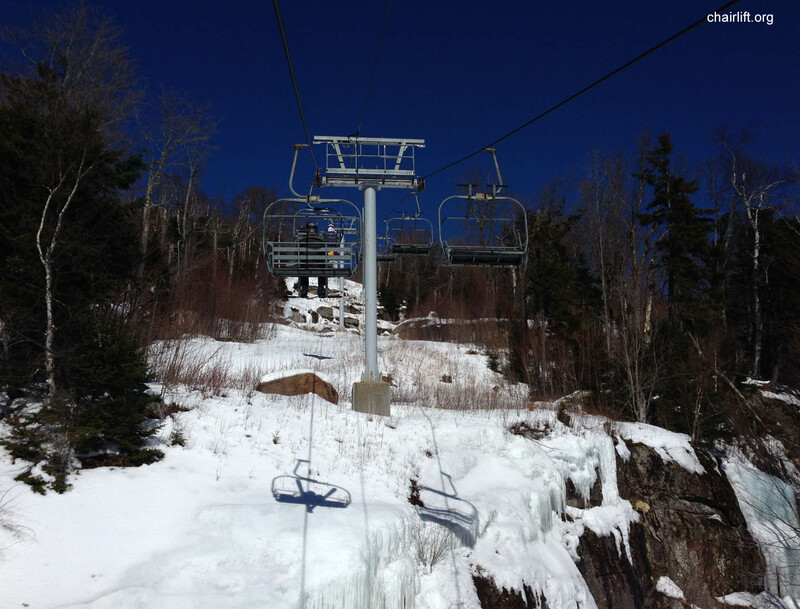 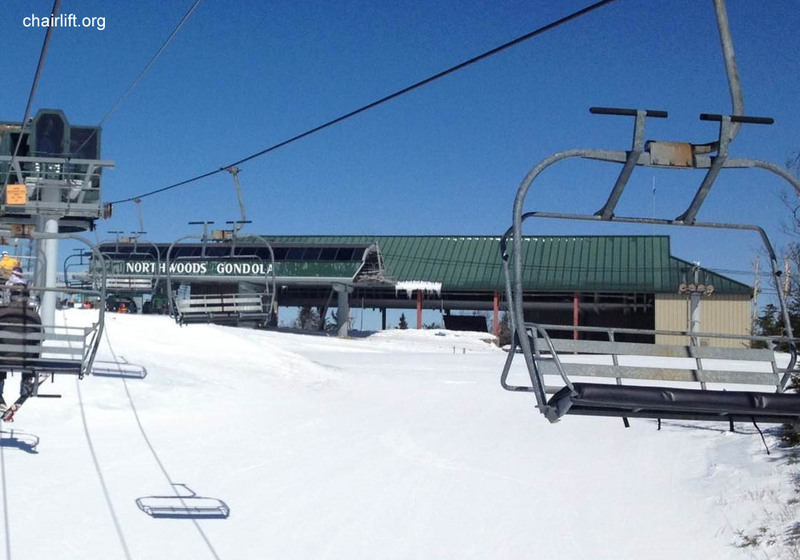 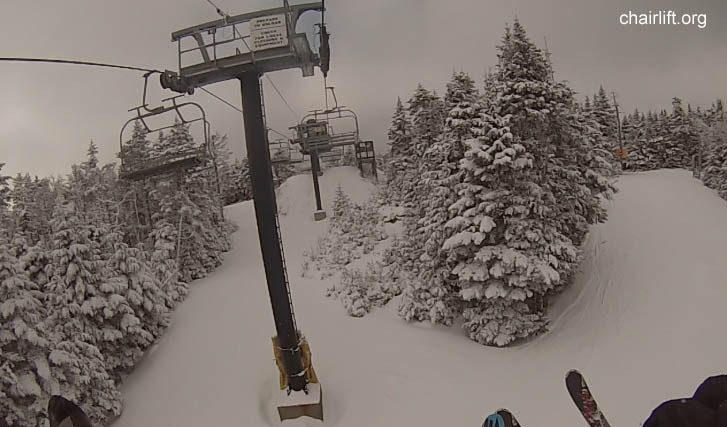 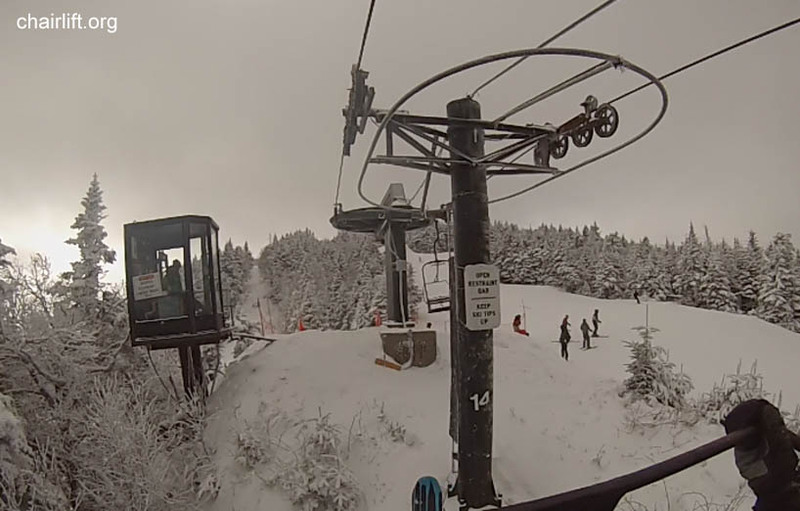 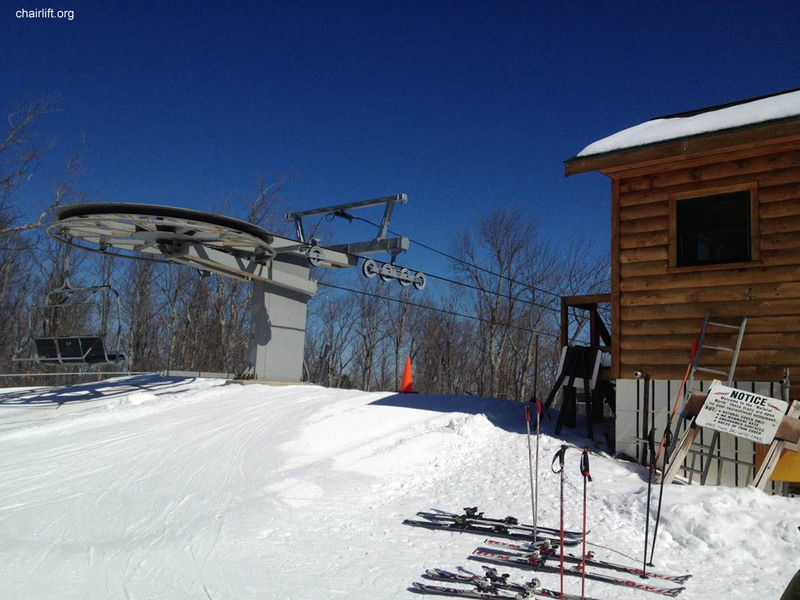 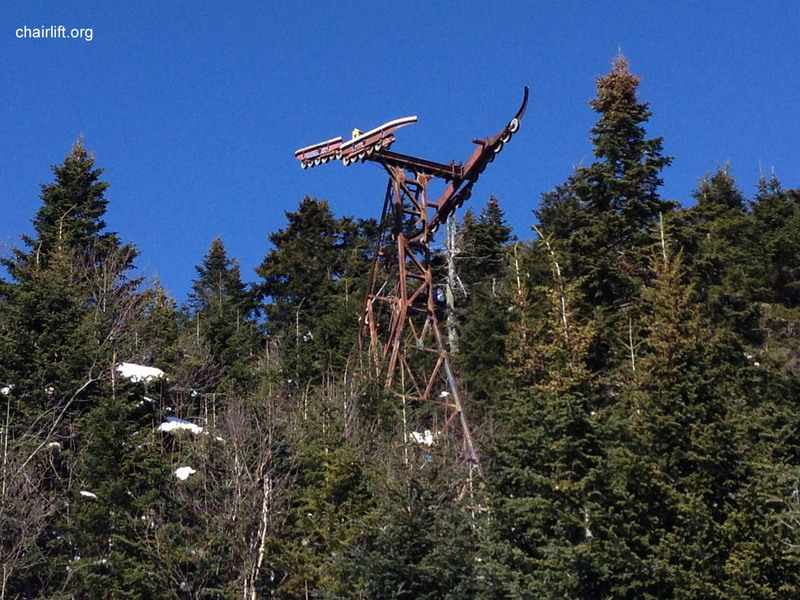 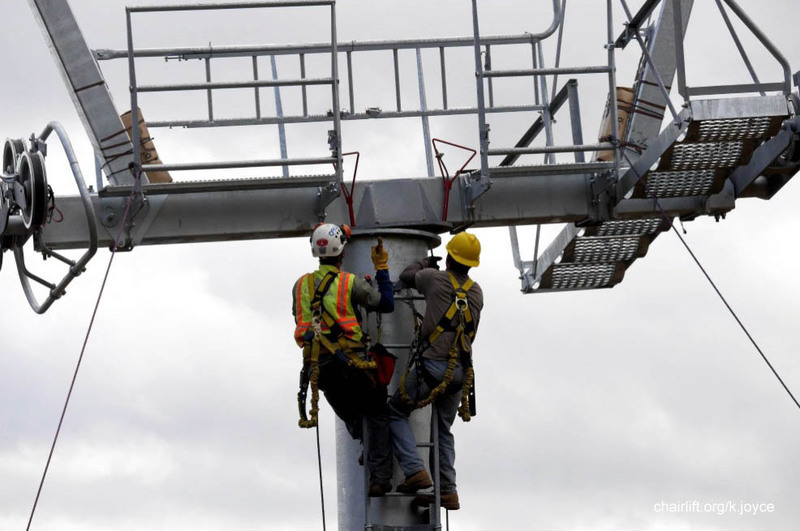 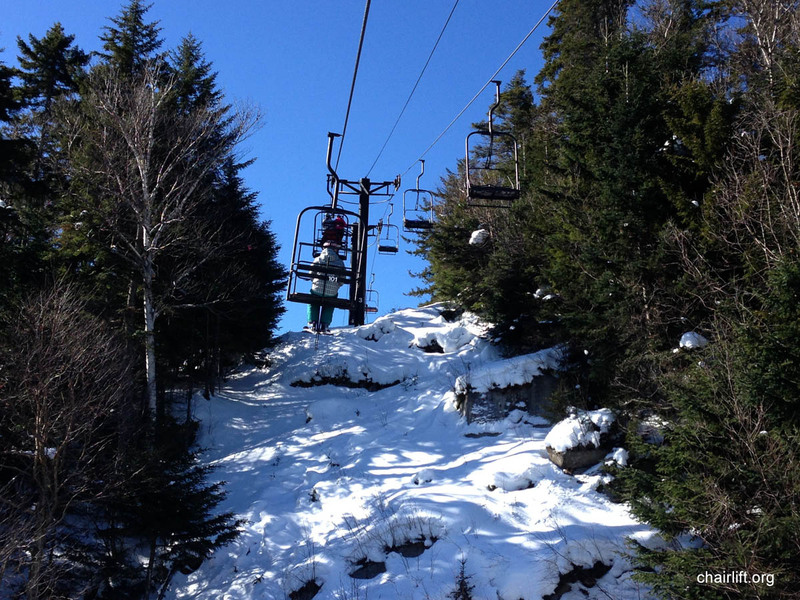 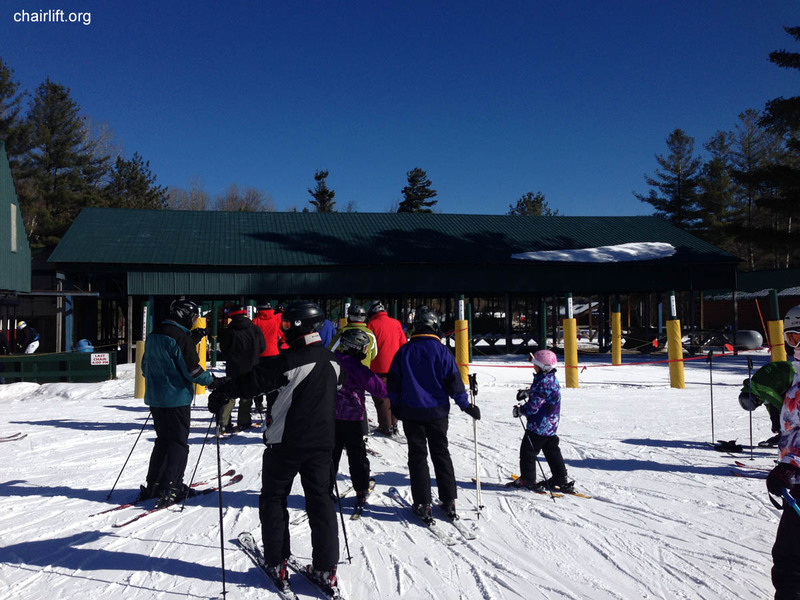 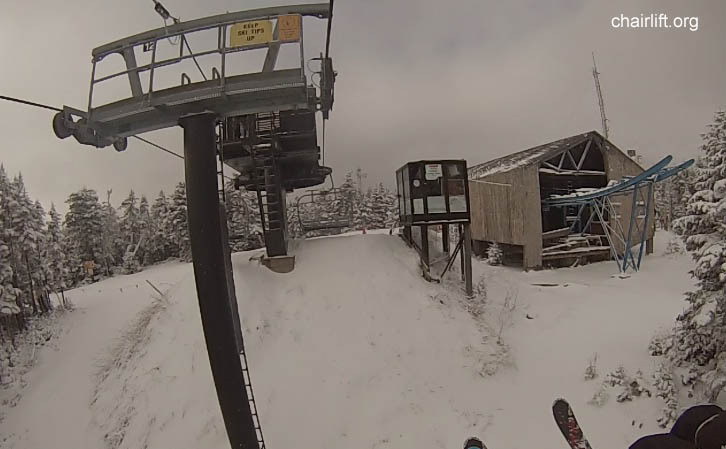 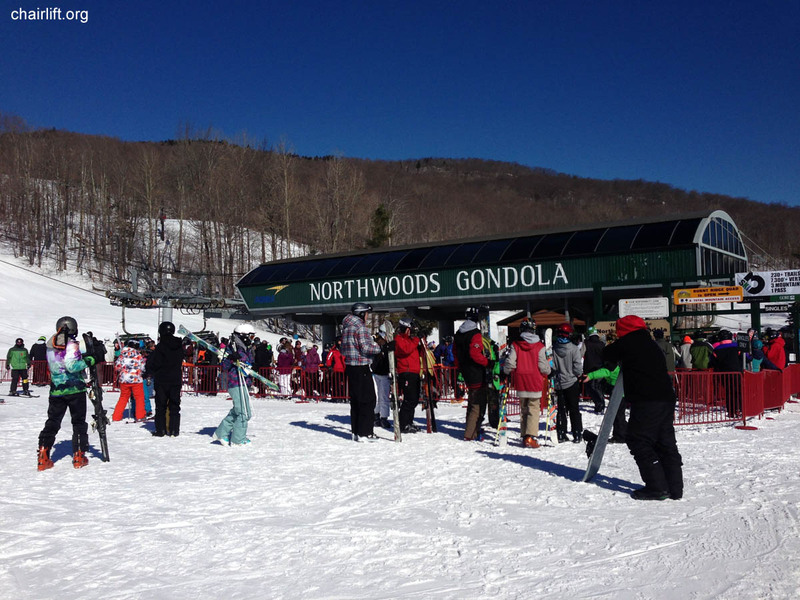 The lift goes to the top of the Bear Mountain near the Northwoods Gondola summit. 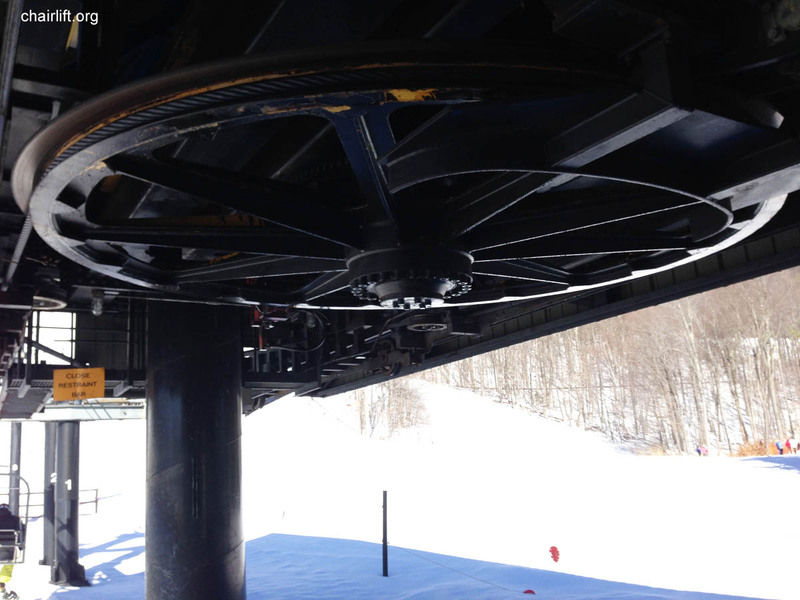 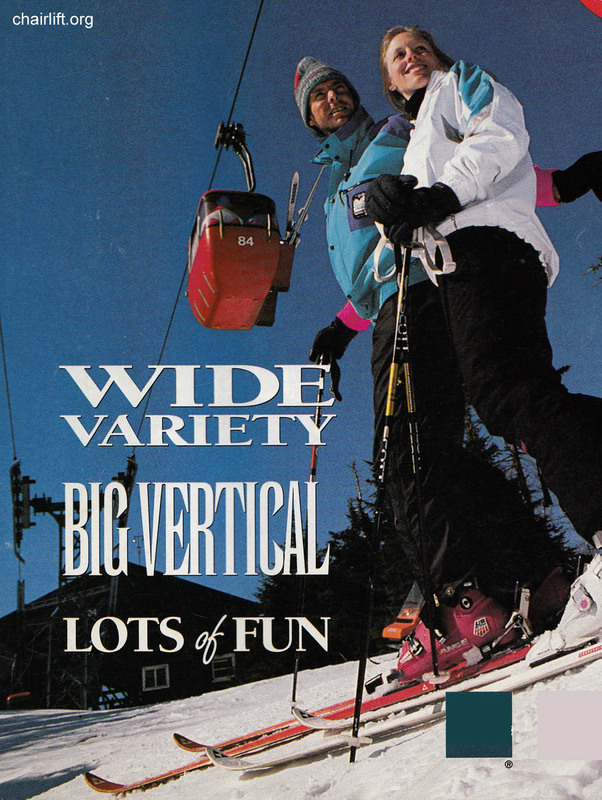 SUNWAY DOUBLE (RIBLET) - Installed in 1986, this lift services easy terrain near the bottom of the original Gondola. 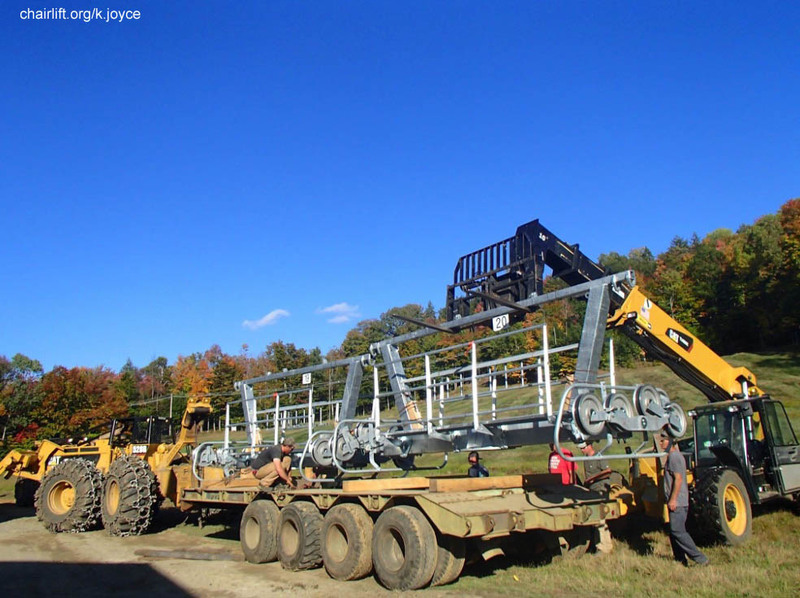 is partially new and paritally made of Borvig parts re-conditioned by Partek. 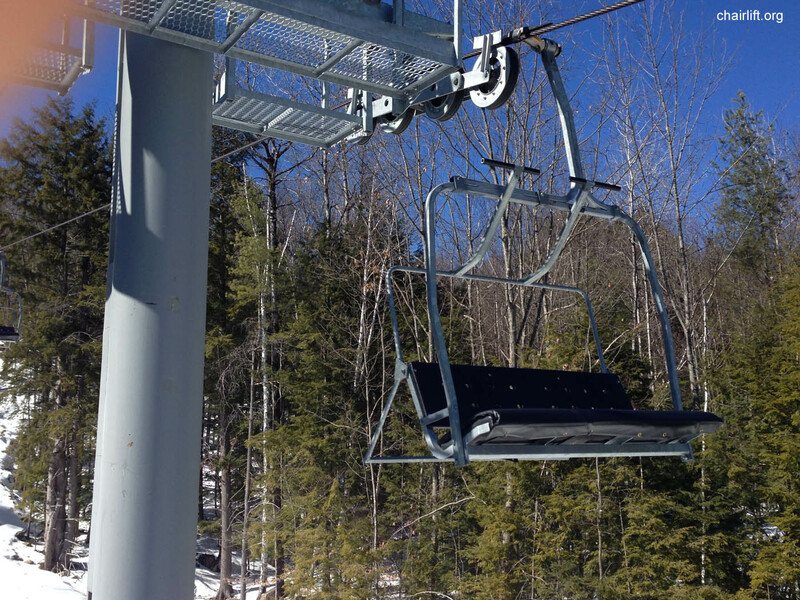 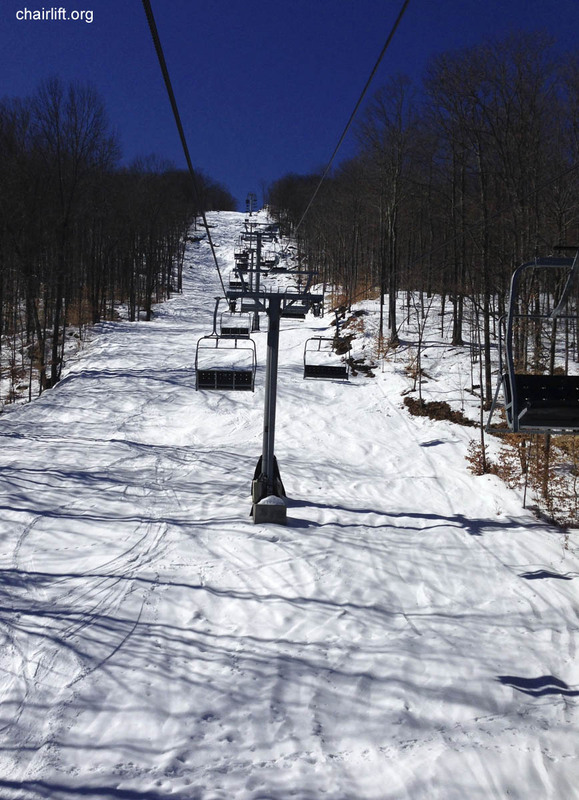 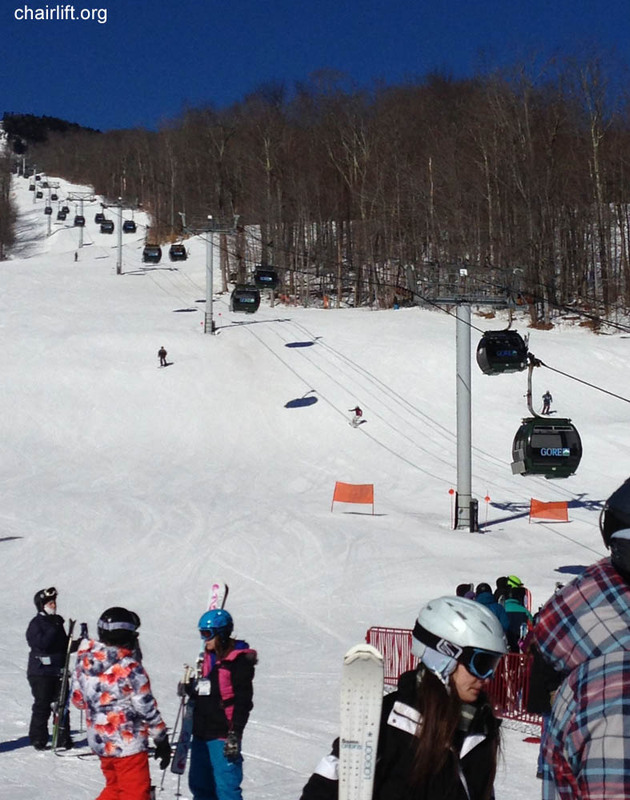 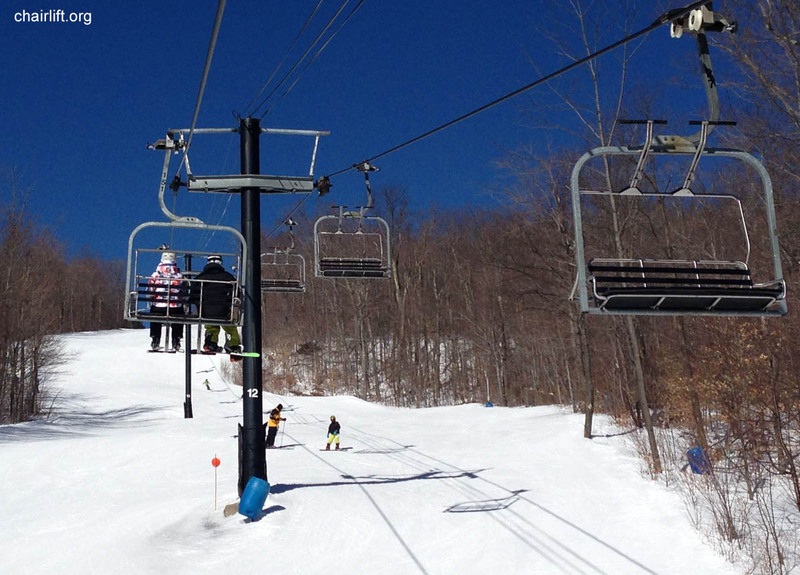 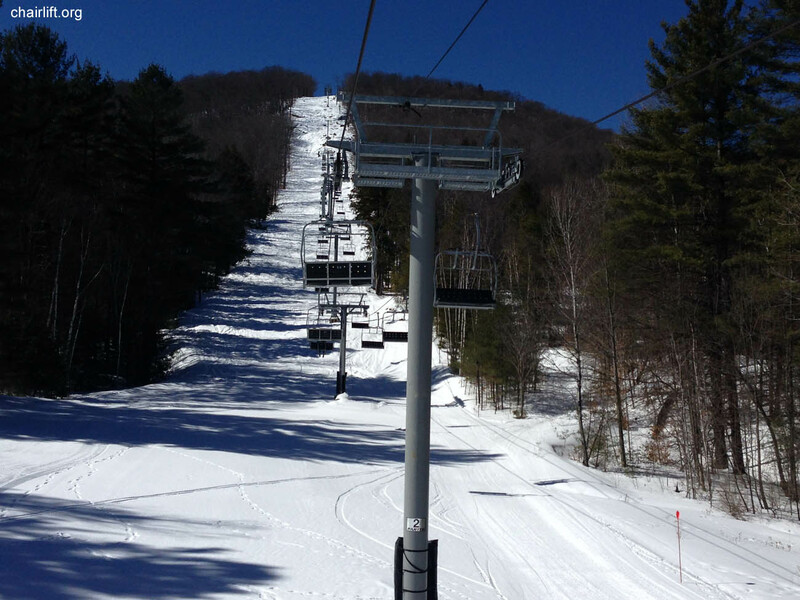 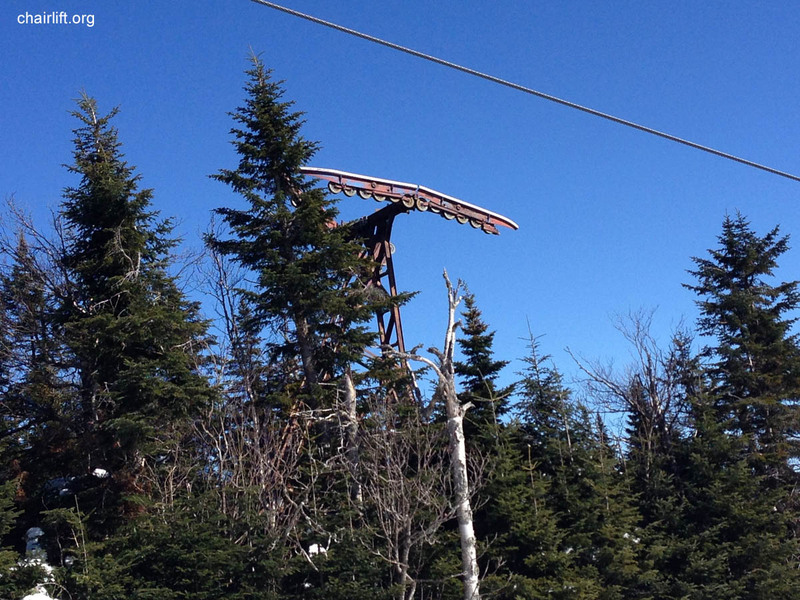 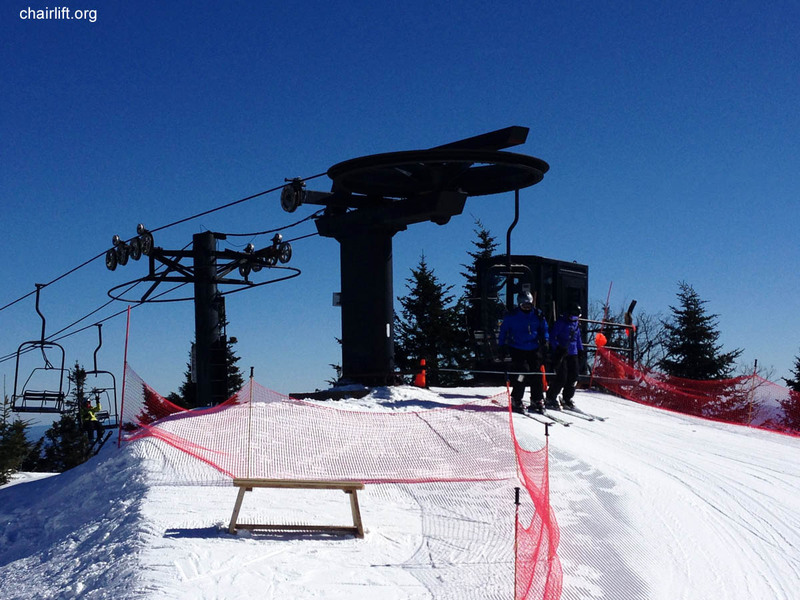 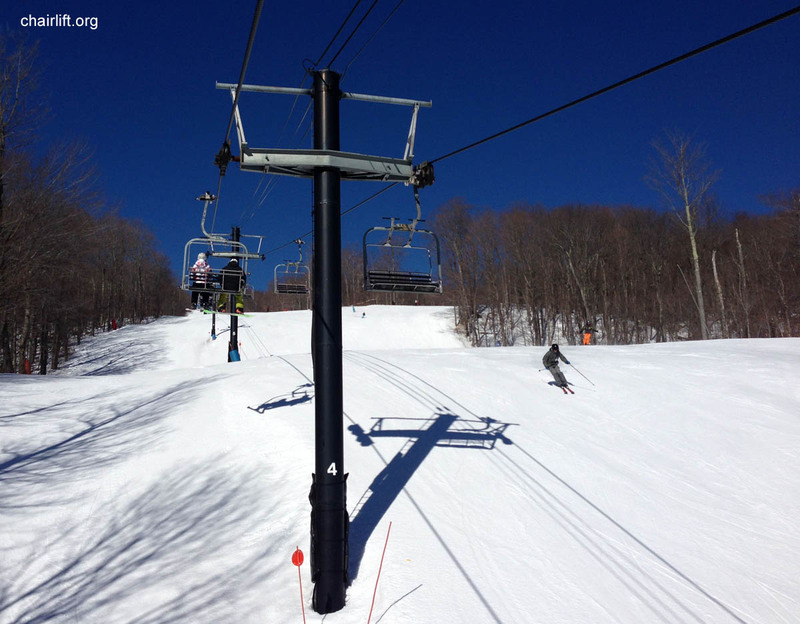 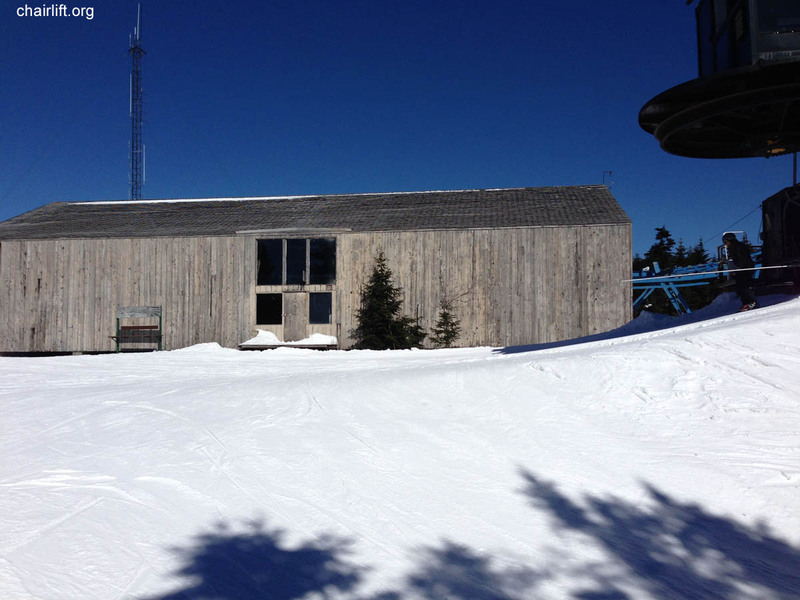 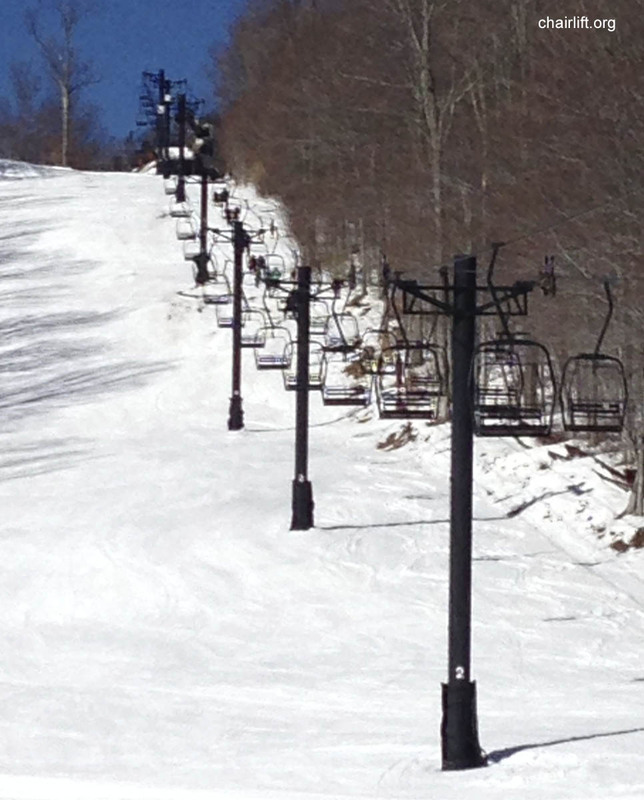 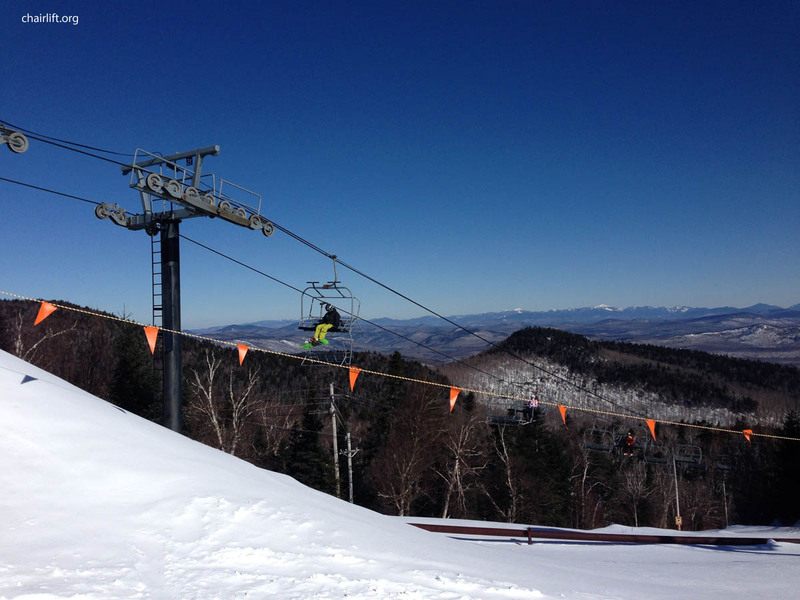 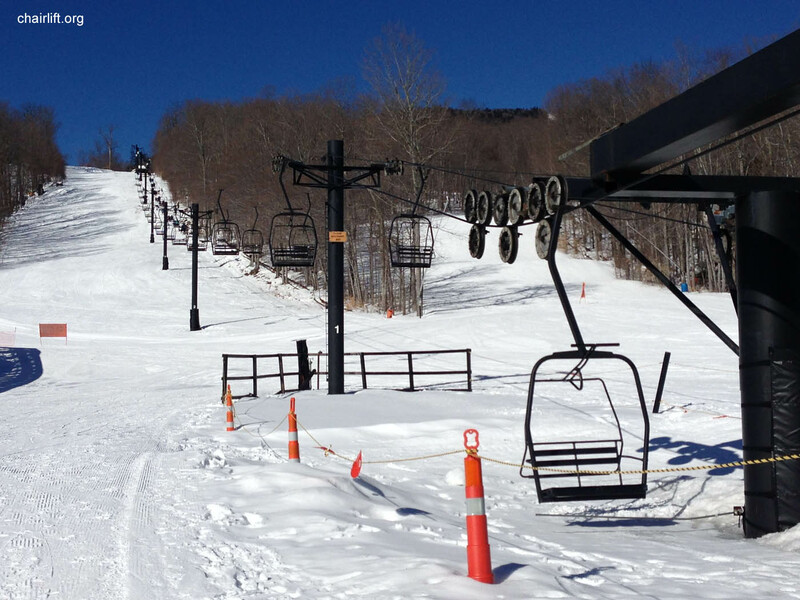 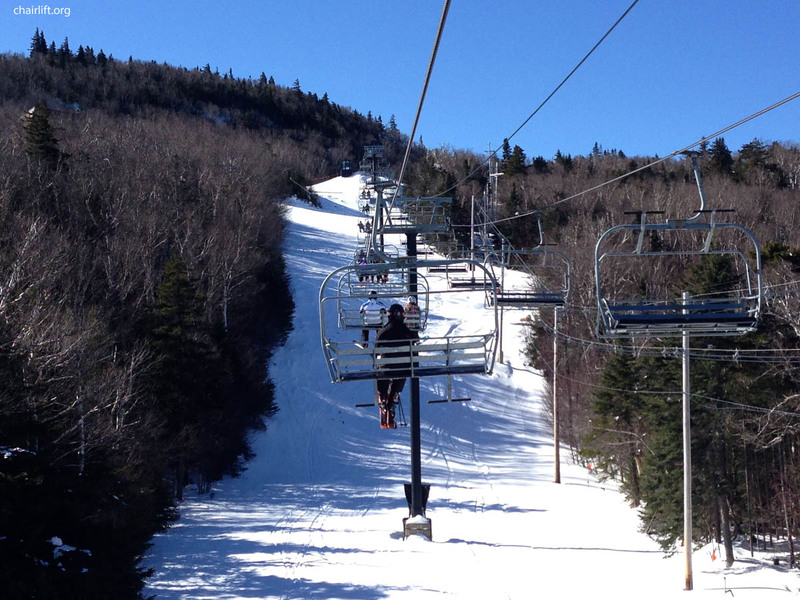 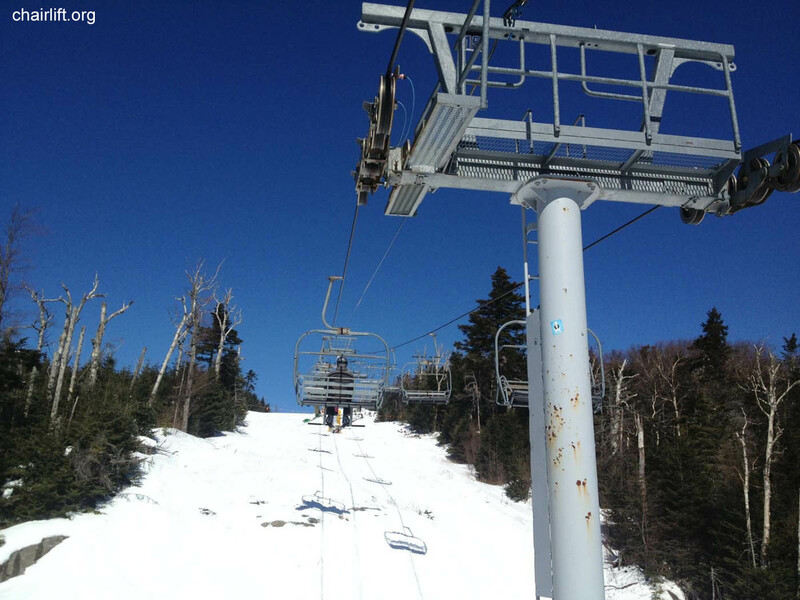 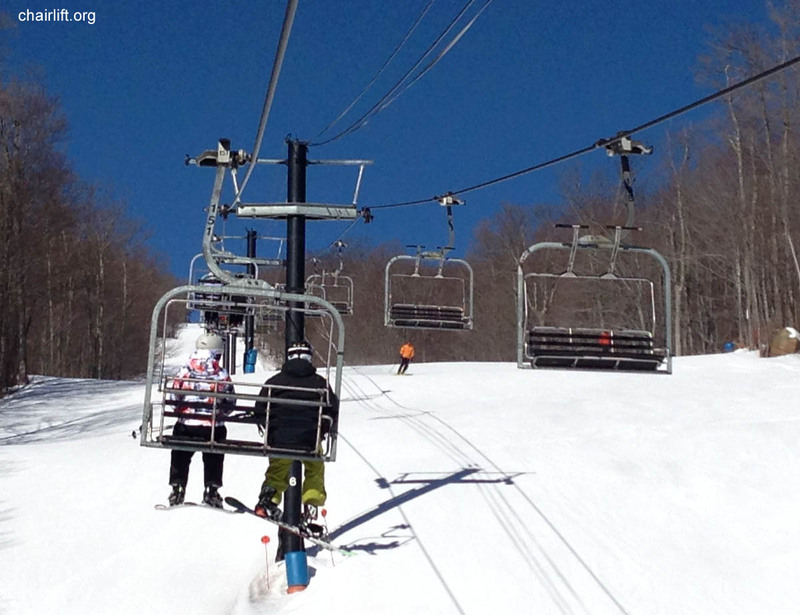 HUDSON TRIPLE (PARTEK) - Built in 2011, this chair follows the line of the old Ski Bowl T-Bar. 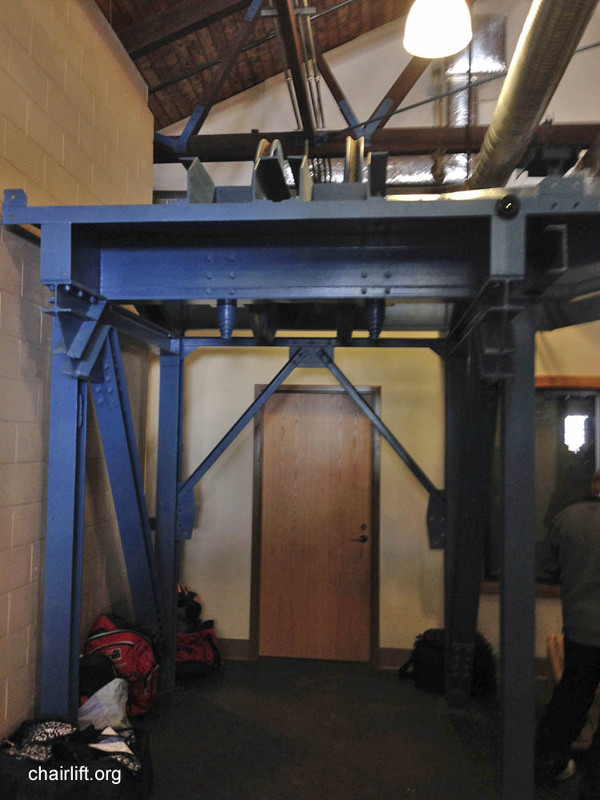 The lift is partially new and paritally made of Borvig parts re-conditioned by Partek. 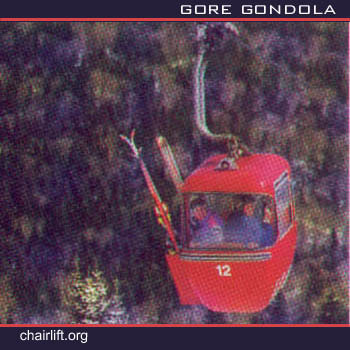 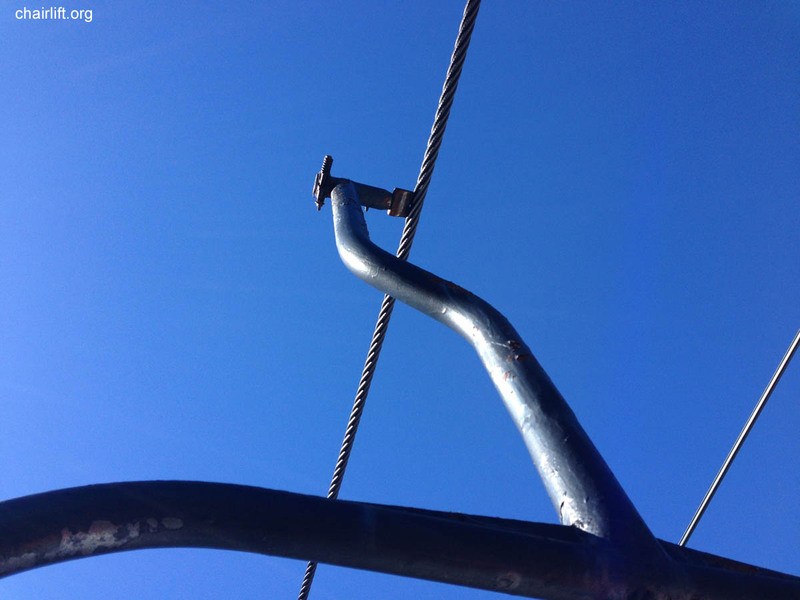 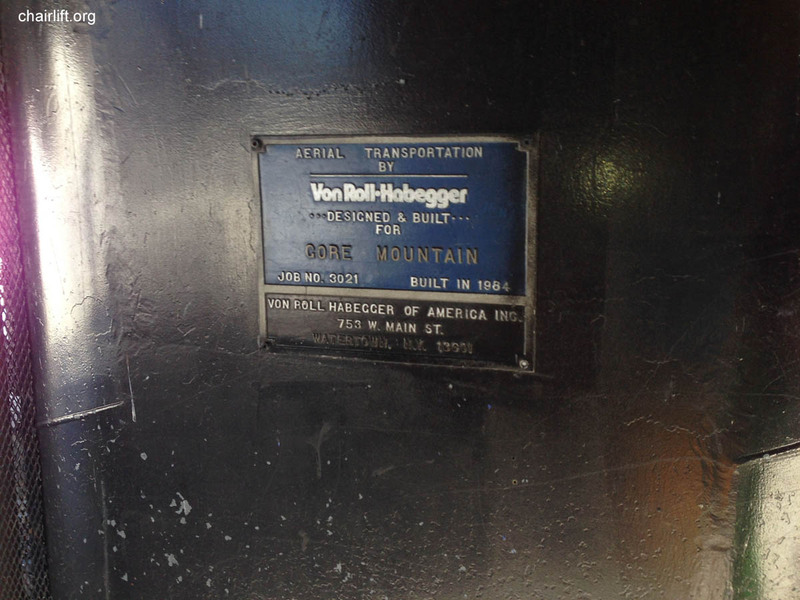 While the Gondola was taken out of service in 1999, as of 2014 it had still not been completely removed. 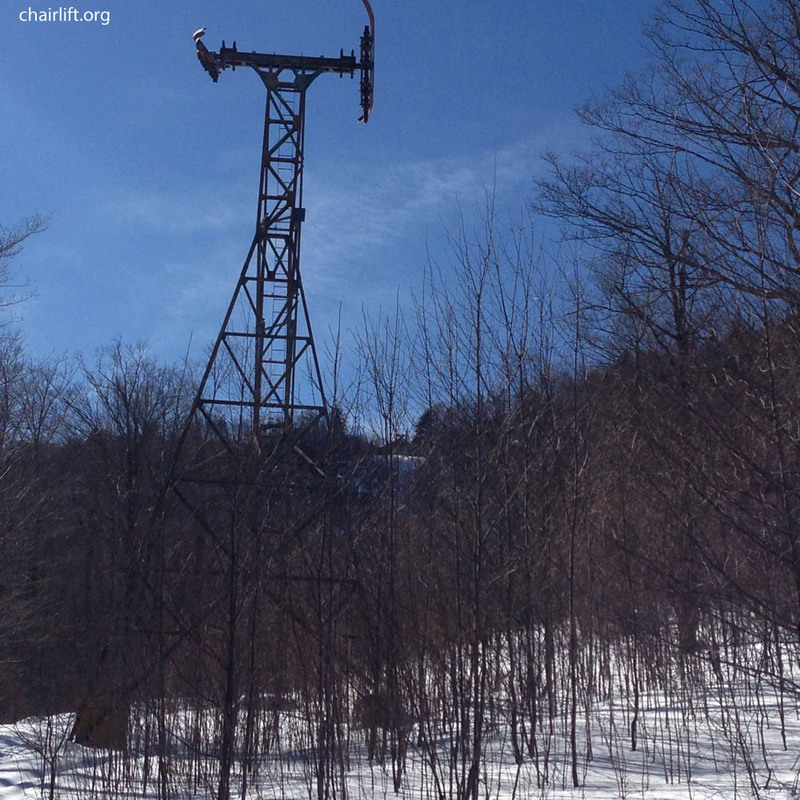 A few towers and the top station still remain. 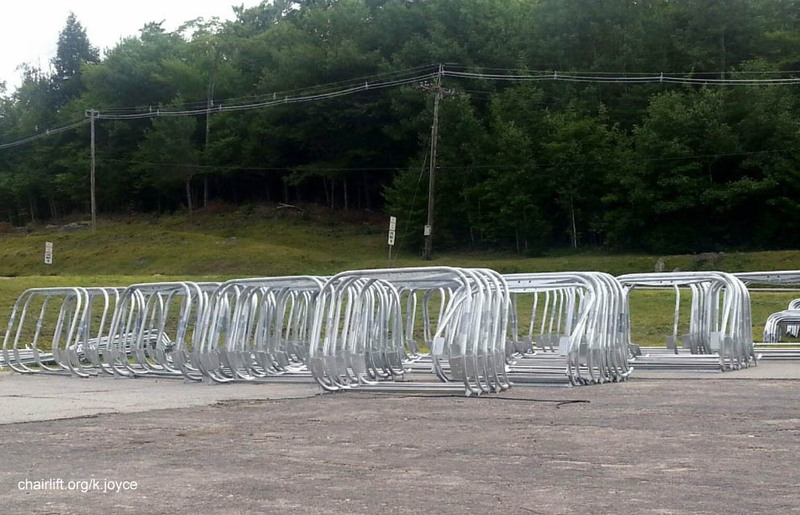 notice the hanger arms are different. 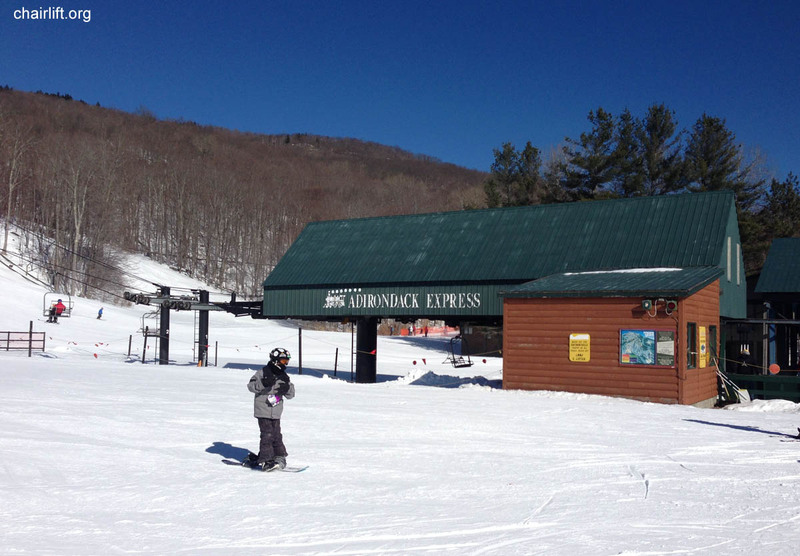 ADIRONDACK EXPRESS (VON ROLL HABEGGER) - Built in 1984 just after the purchase of Hall ski lifts by Von Roll Habegger of Switzerland. 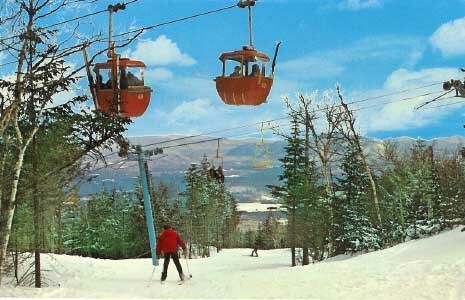 DOUBLE CHAIR (HALL) - One of two original double chairs built at Gore in 1964. 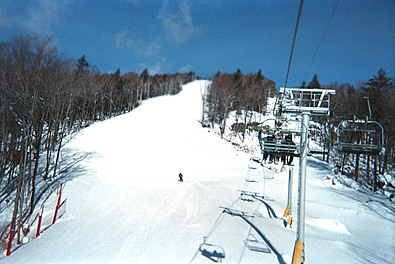 Straightbrook quad in 1995. 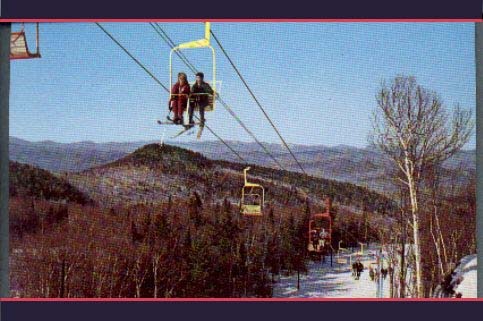 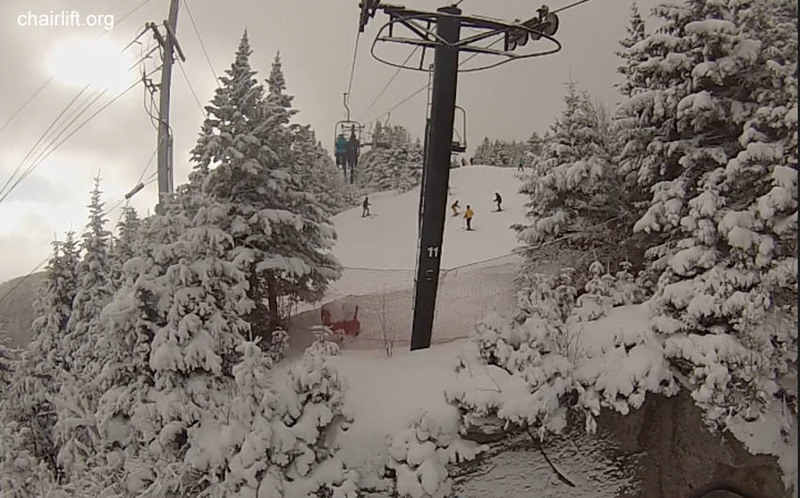 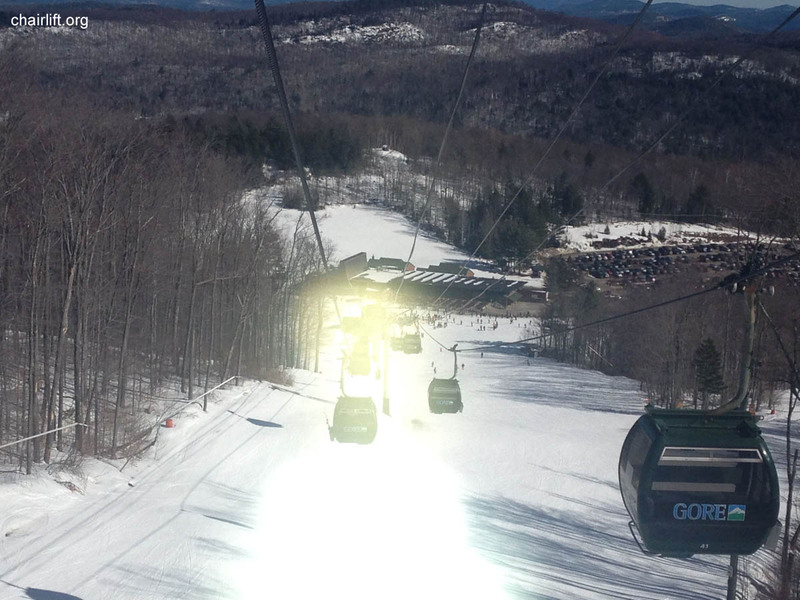 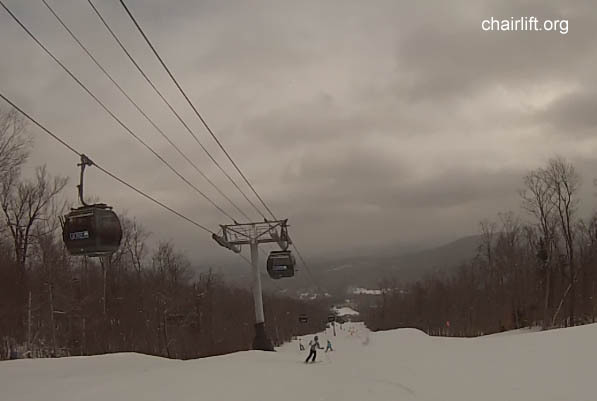 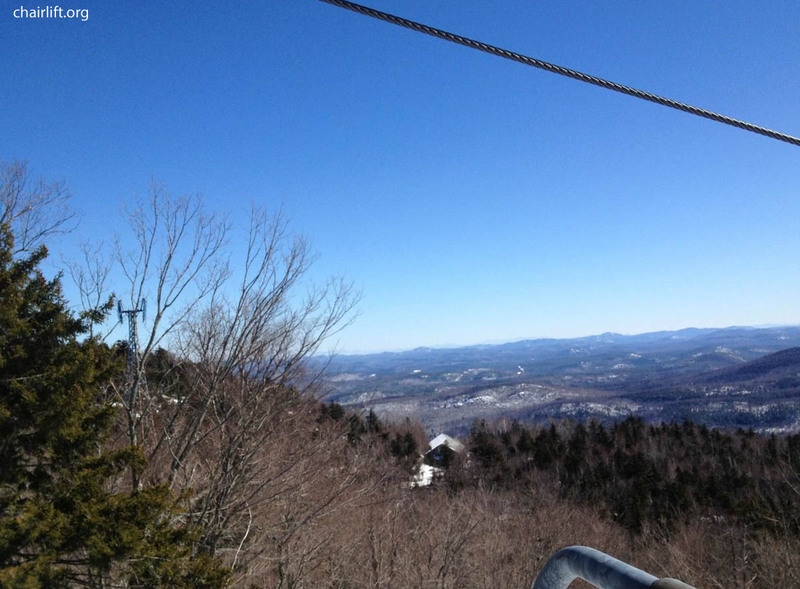 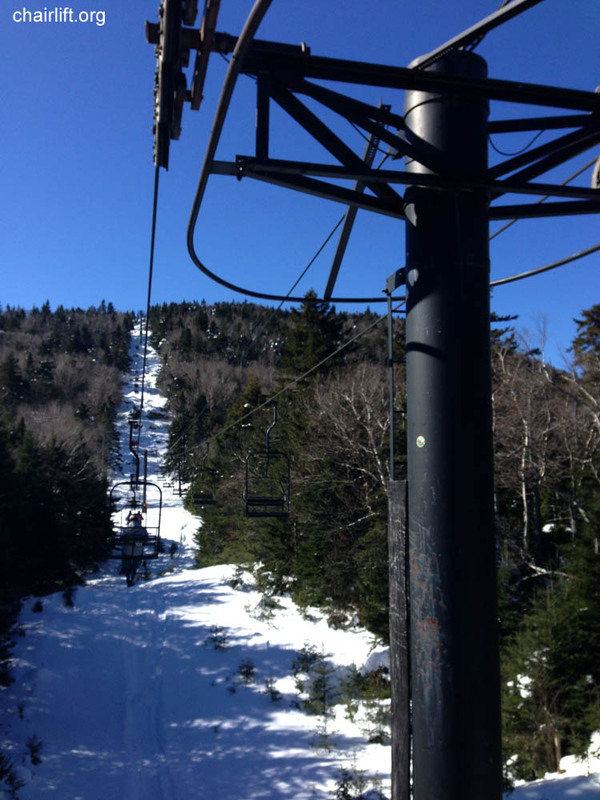 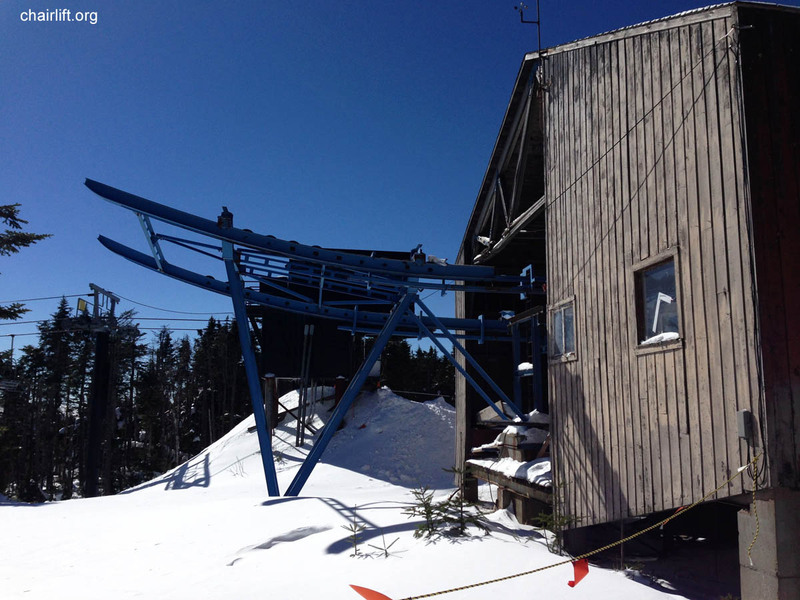 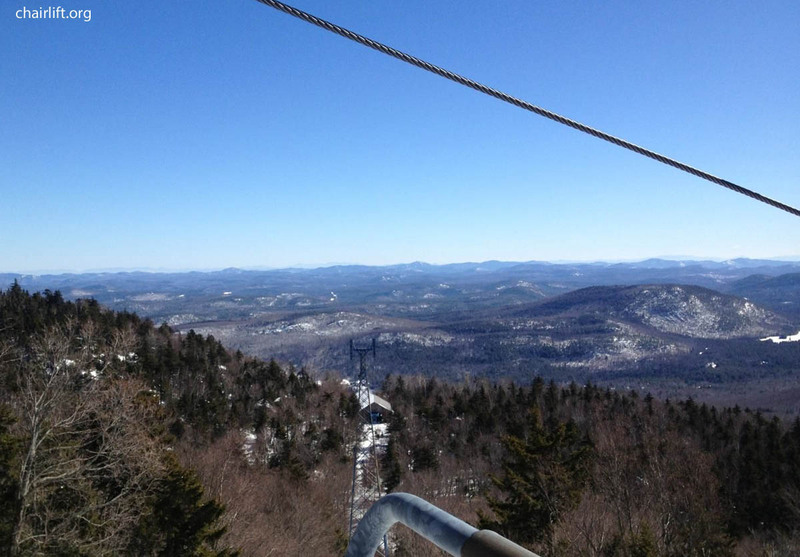 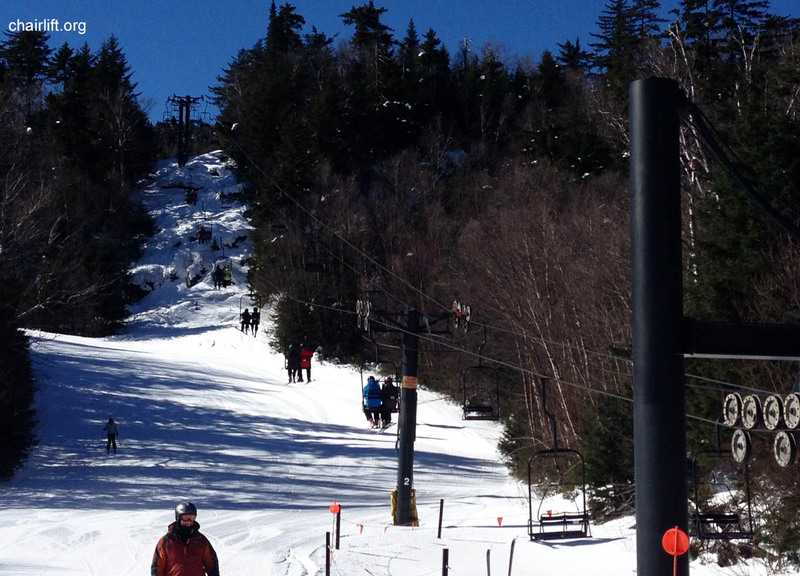 It can be seen behind the gondola in the picture below. 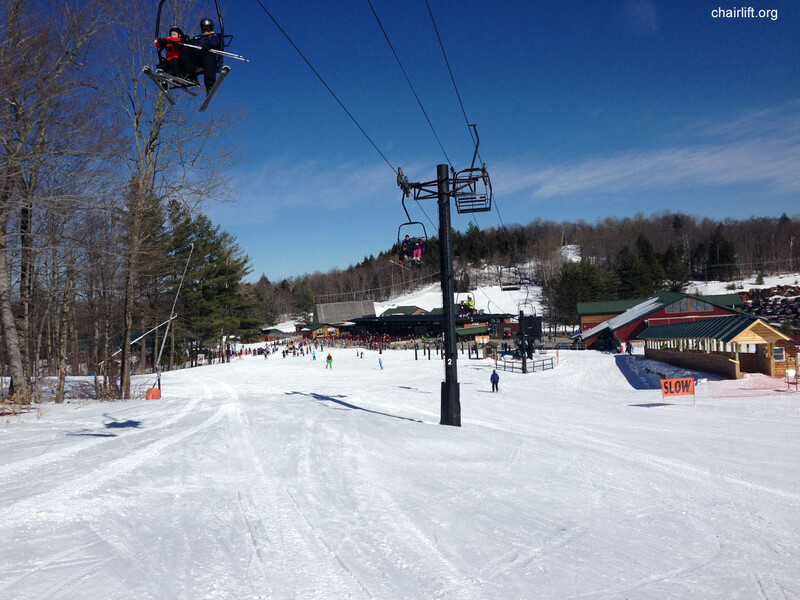 Pictures 6-11 thanks to Joel B. Pics 75-95 thanks to Kevin J.